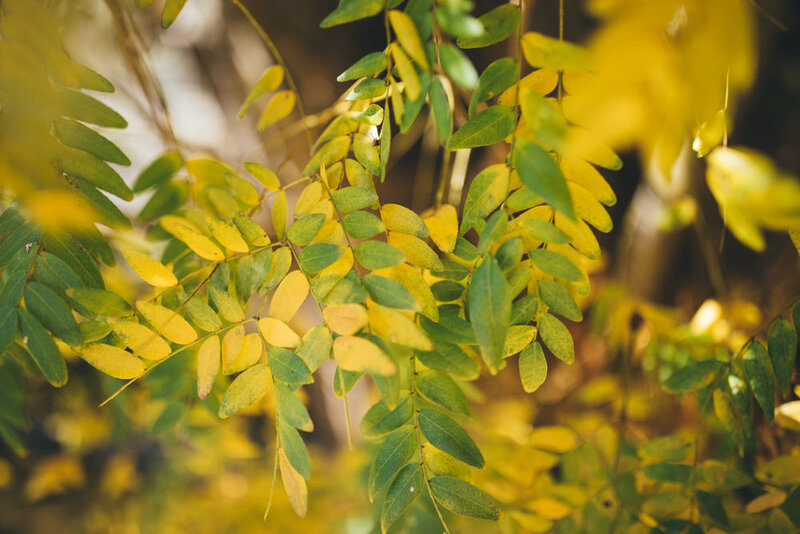 Ah the magic of Autumn and the mountains. 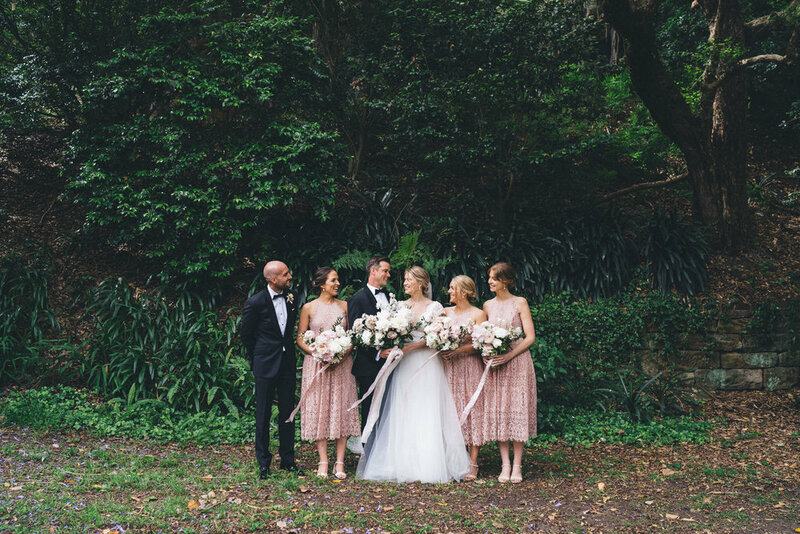 If you're ever in the Blue Mountains area and considering holding your wedding there I highly recommend you look into the gorgeous Dryridge Estate. 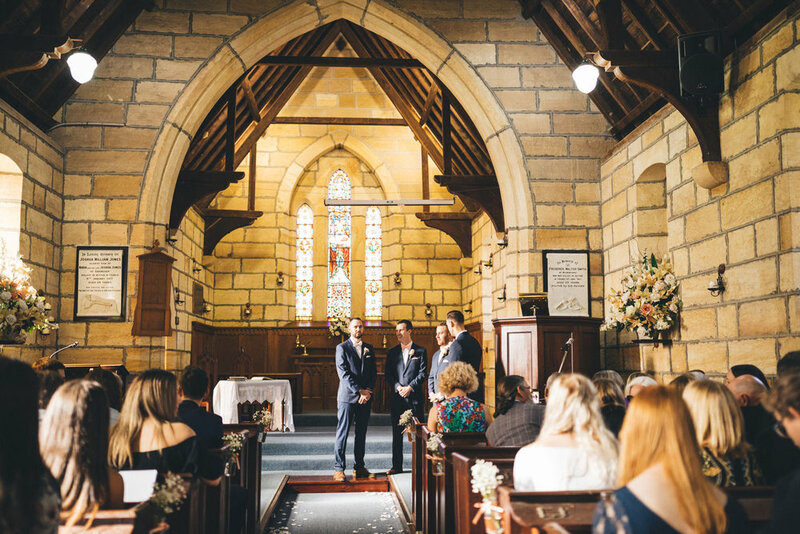 Driving through the lush tree lined paths of the majestic Megalong Road was such an adventure and the best part is when you start approaching a clearing and you're met with the most incredible scenes nestled within Megalong Valley (I'll let the pictures to do the talking, hopefully they convey how equally floored and thrilled we were as we entered the breathtaking grounds). 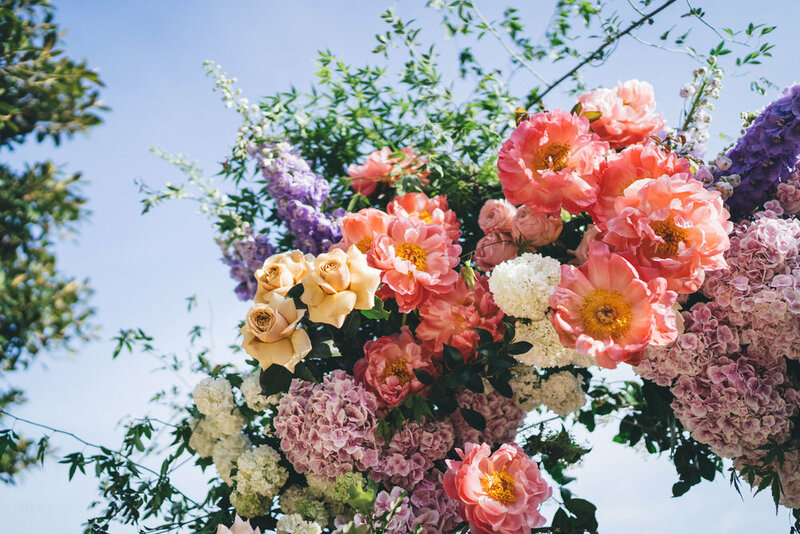 One of my favourite things to do is go through all our enquiries inbox filled with the most delightful and kindest messages (I read every single one of them, it's honestly the nicest bunch of emails to look at first thing in the morning, giant steaming coffee mug in hand). 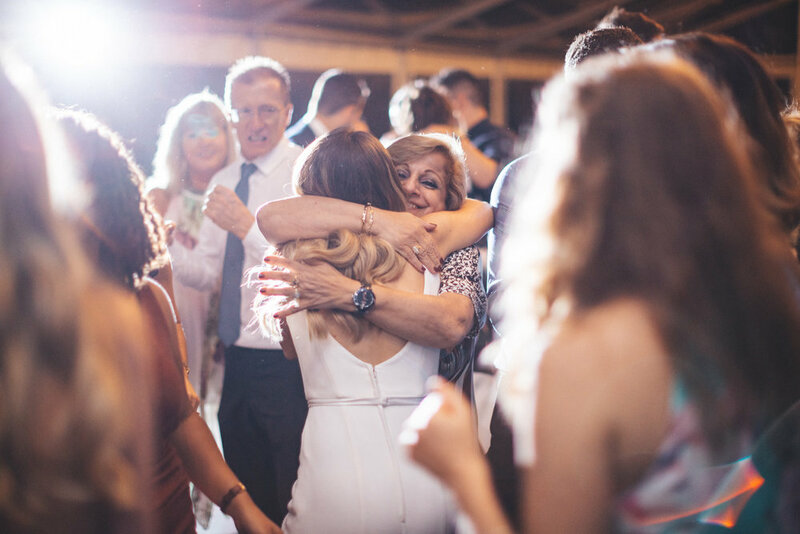 Last year I came across one that exuded such a happy and an unmistakable warmth that not only radiated through the screen, it quite possibly reached out and felt like it was wrapping me in the world's biggest bear hug. 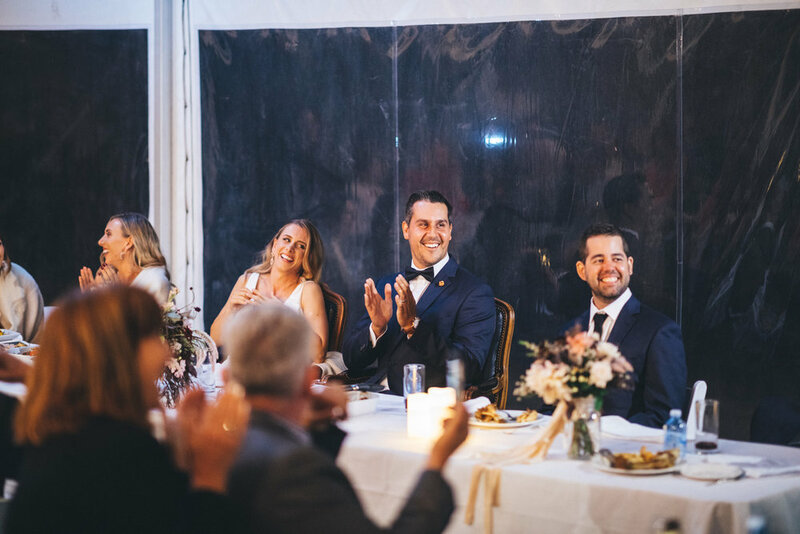 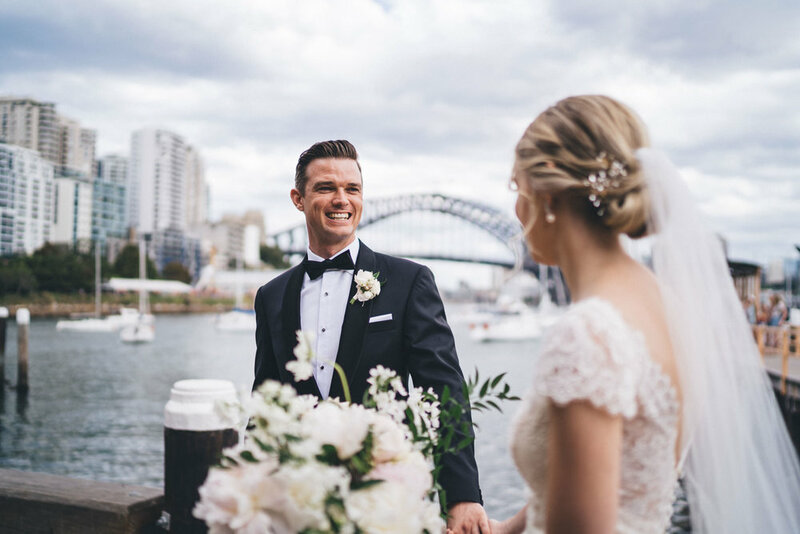 From then on, every one of Brooke's correspondence approached with such brightening cheeriness, it was near impossible to not be crazily excited for her getting hitched to her best friend Ben. 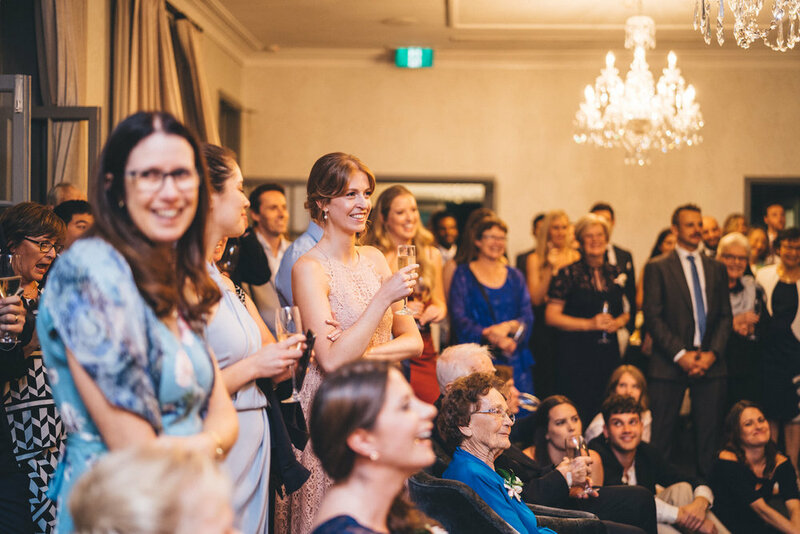 Brooke and Ben have this way of making complete strangers feel totally welcome and are two of the most hilarious, smiley-est people ever whose day felt more like a great big party filled with their loved ones, less so a formal wedding (aka hand on heart, my absolute favourite types of weddings). 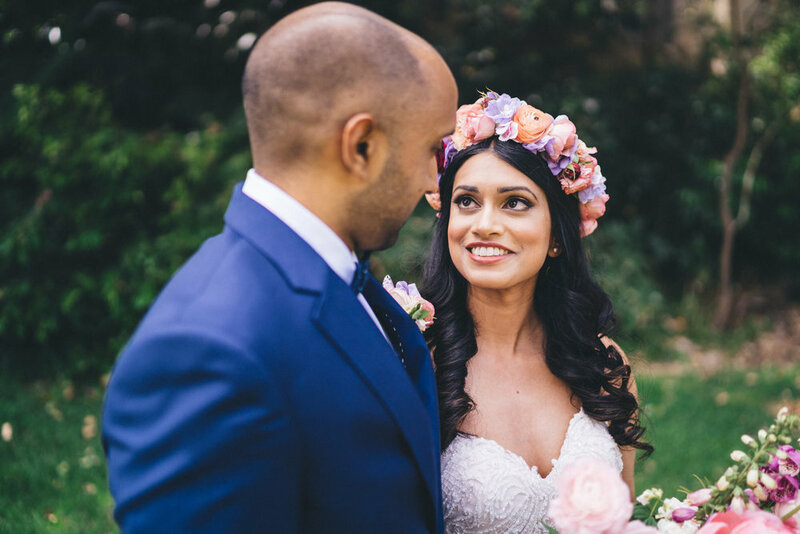 They both adored the outdoors (Ben proposed on top of a mountain in Scotland) and specifically chose the beautiful Dryridge Estate for their Autumnal wedding as they loved the privacy and intimacy of the grounds. 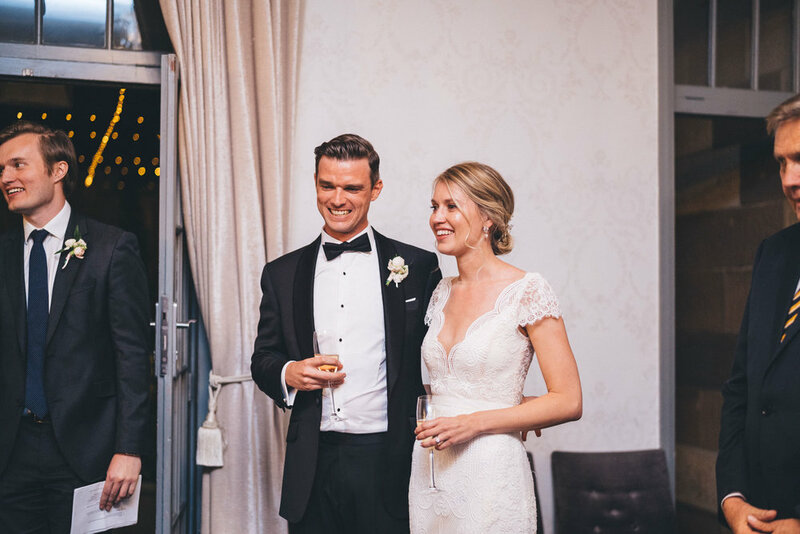 I'm genuinely going to miss working on these two beautiful humans' day and I hope you love this collection as much as we have loved these two, their incredibly lovely families and their wonderful day. 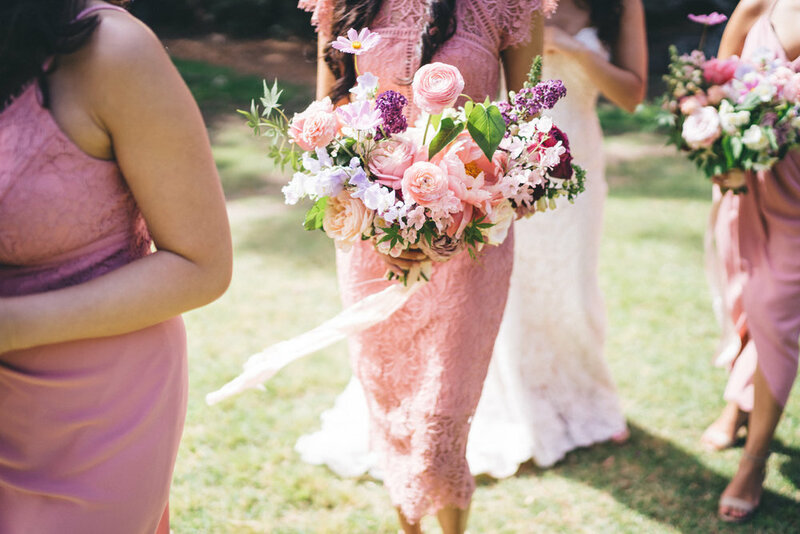 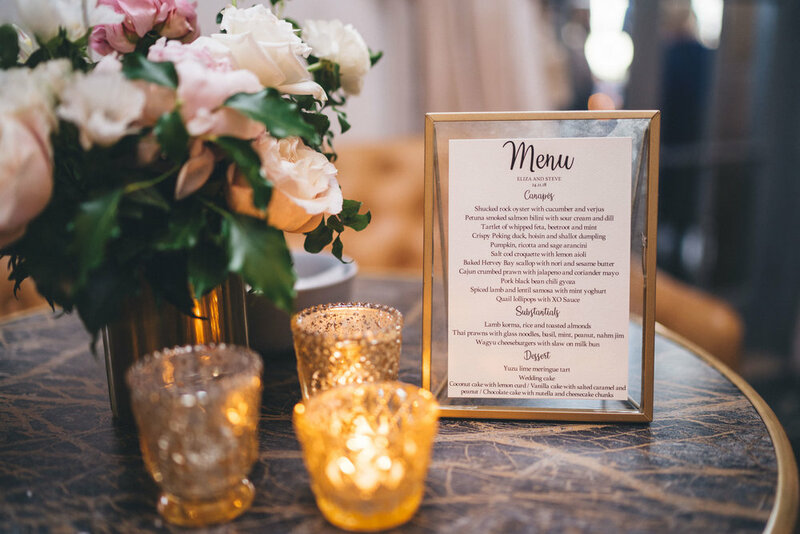 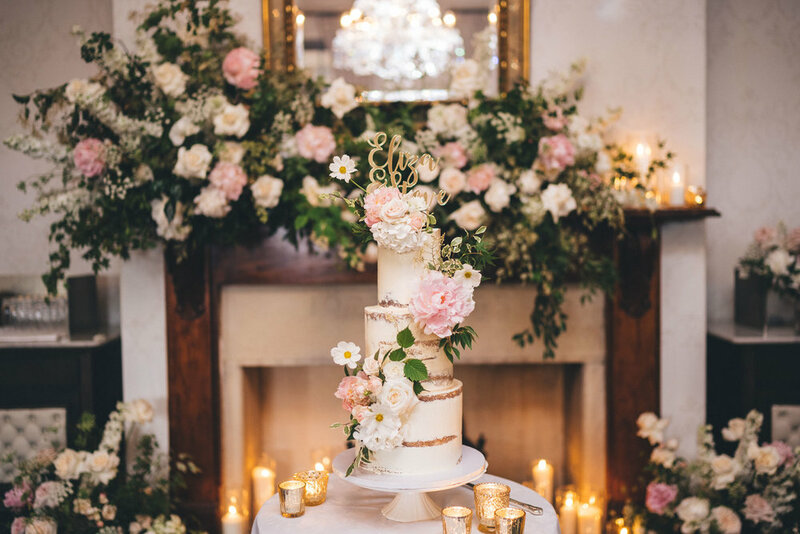 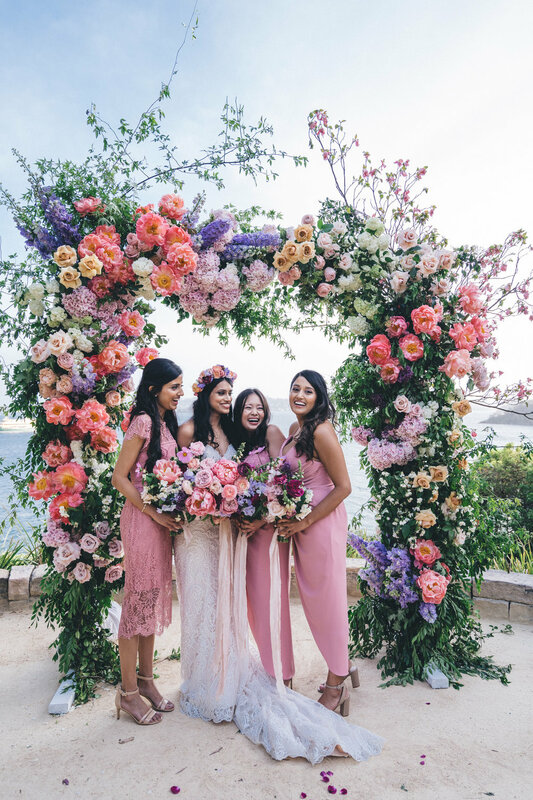 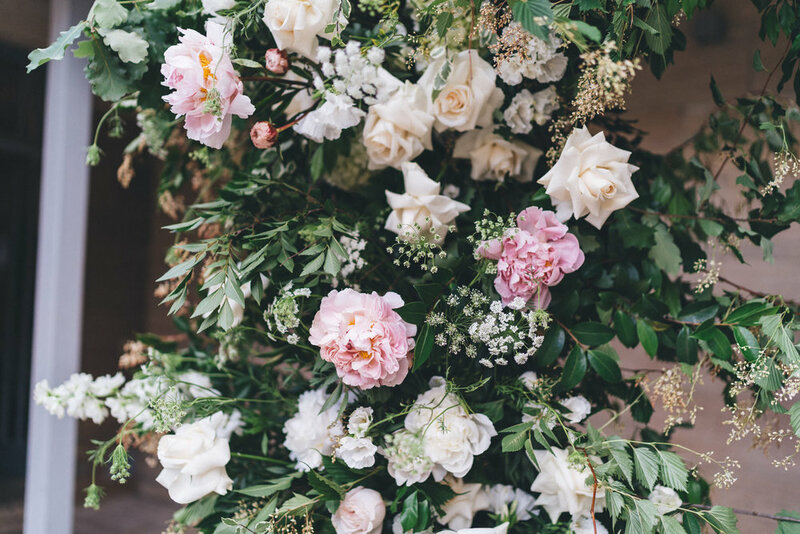 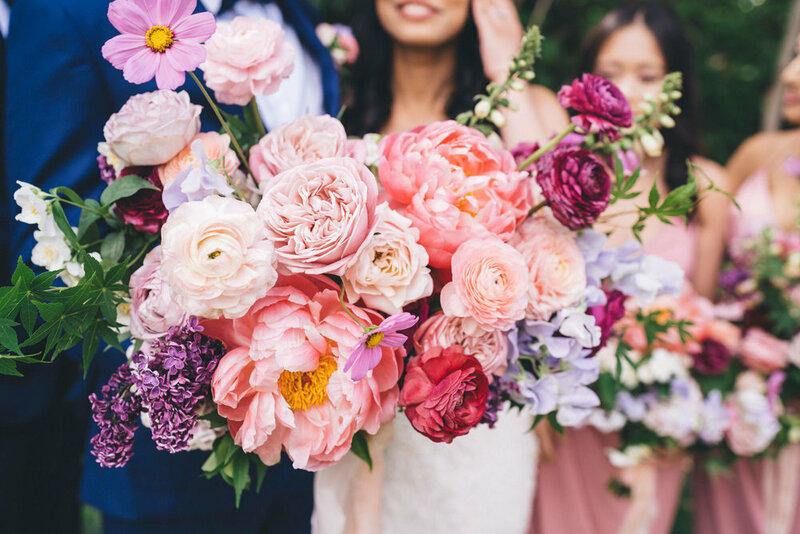 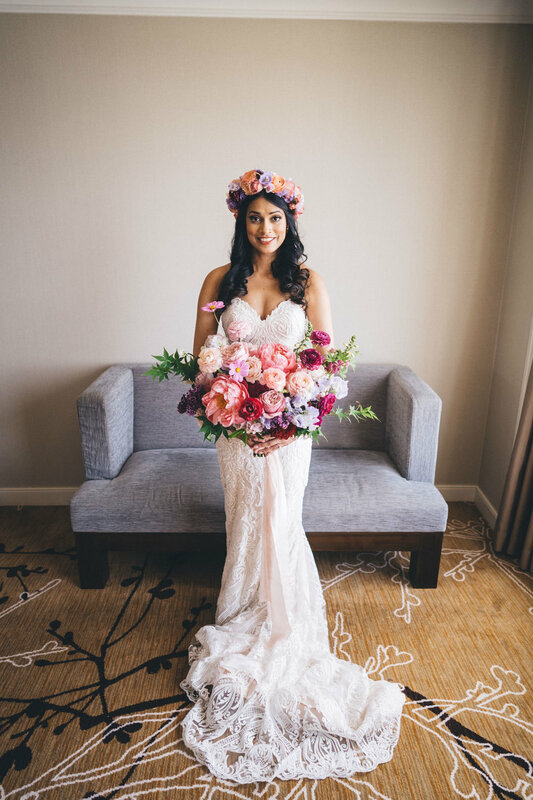 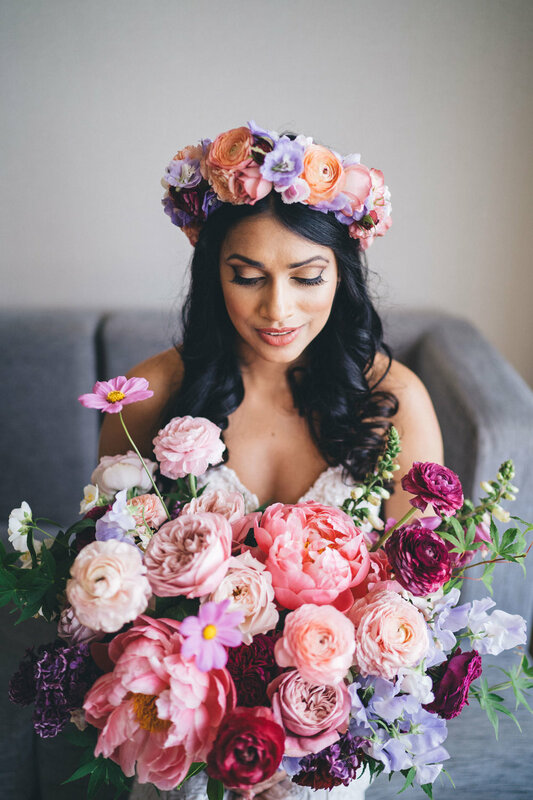 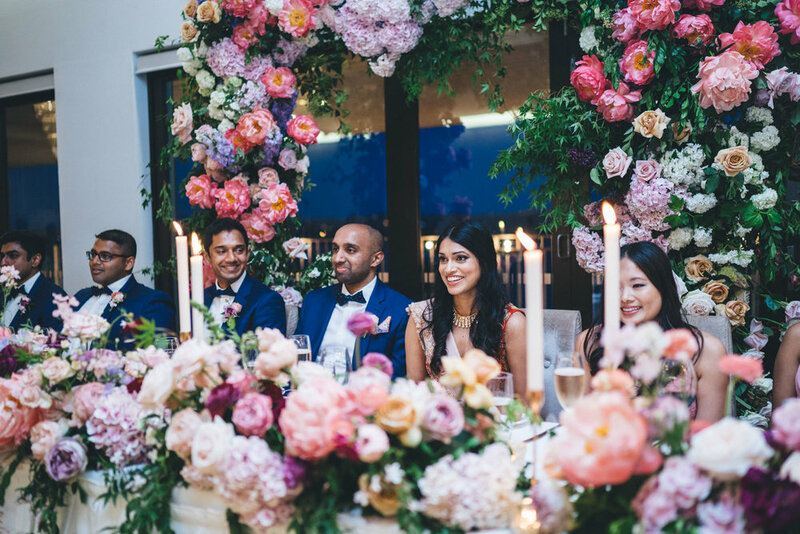 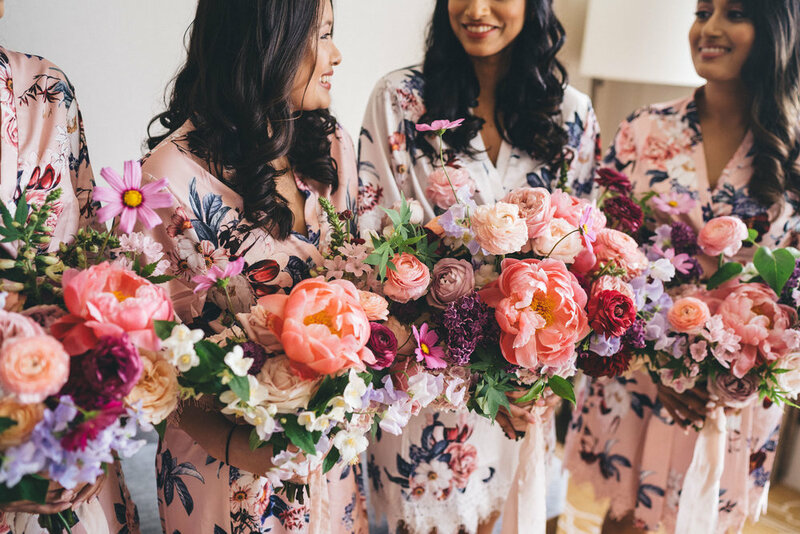 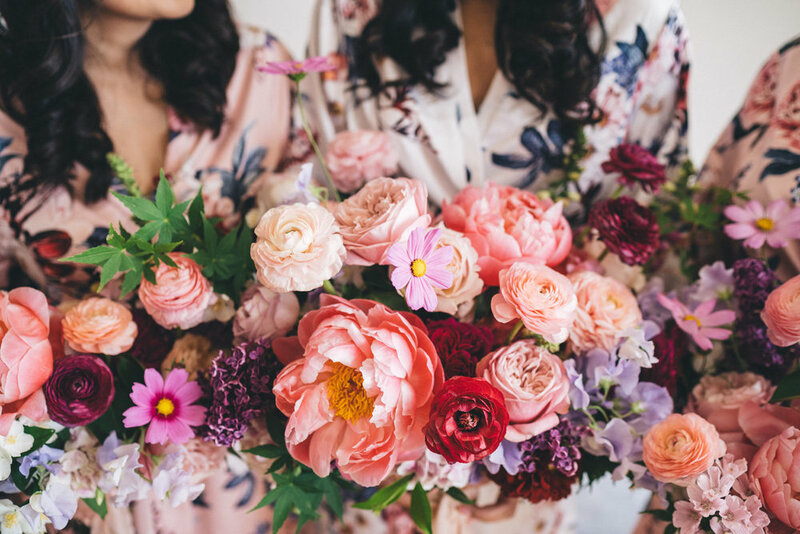 Floral lovers brace yourselves: this wedding is probably one of the most brilliant representations of a true Spring celebration, a visual feast for those looking to add a vibrant and colourful palette to their day. 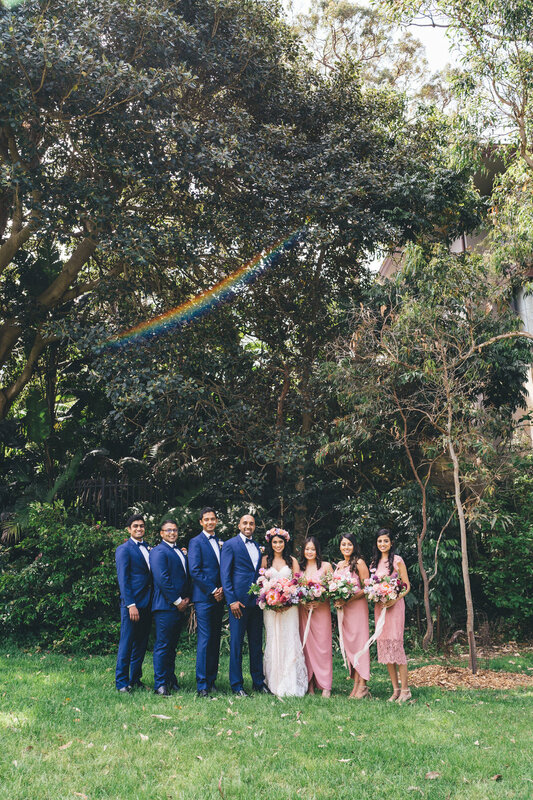 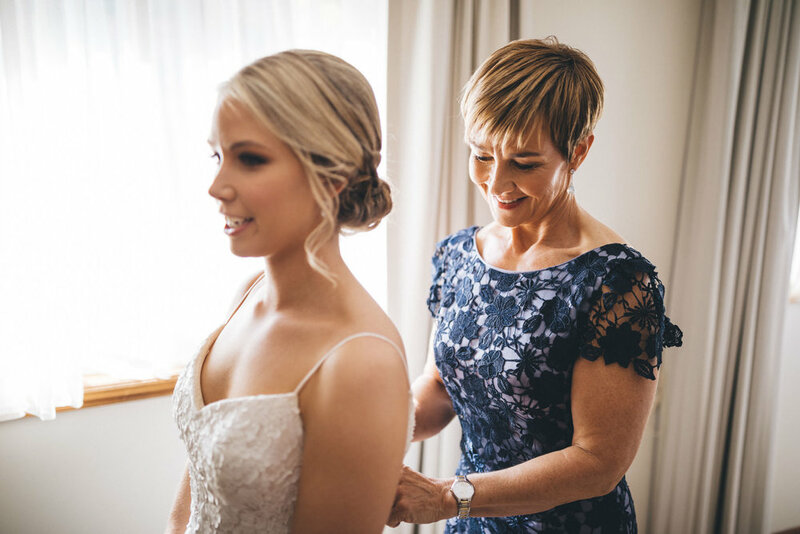 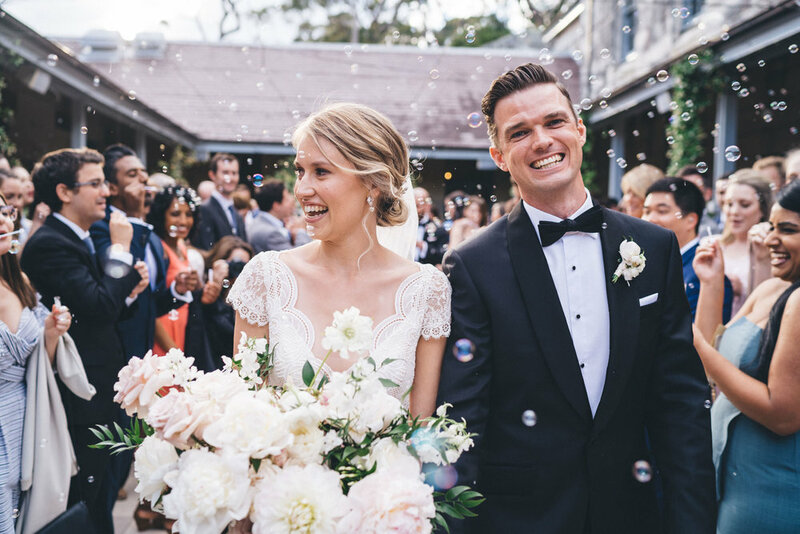 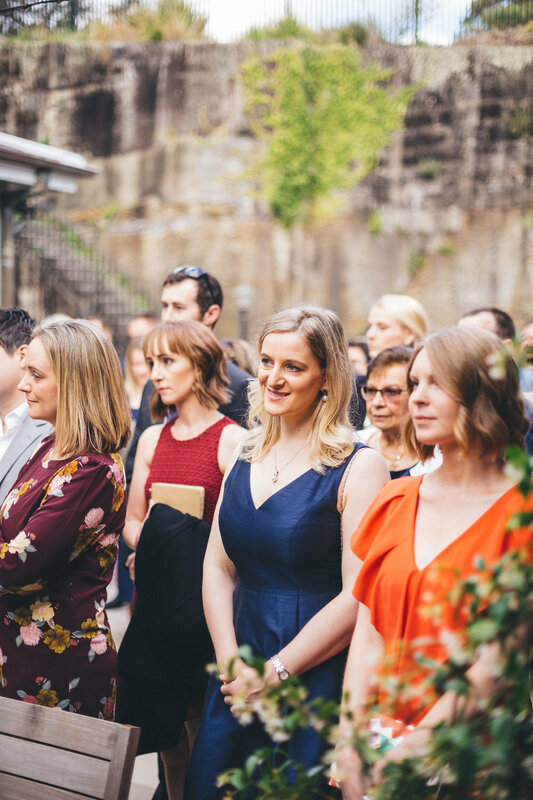 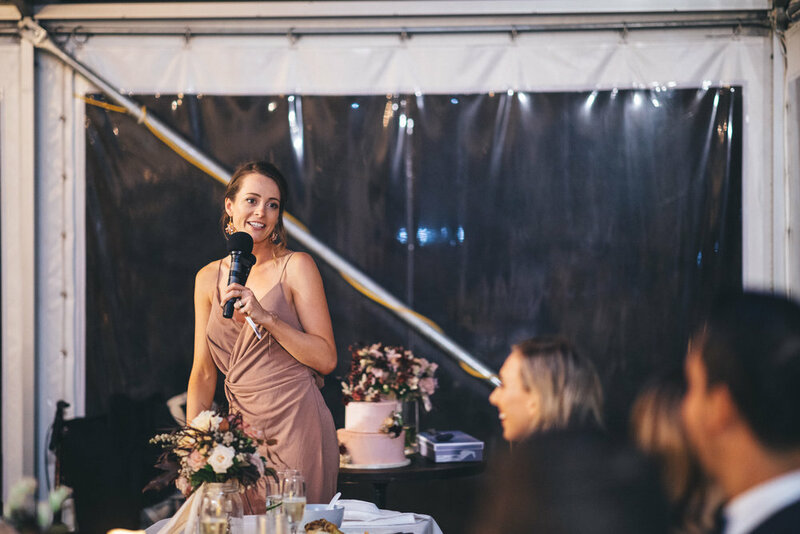 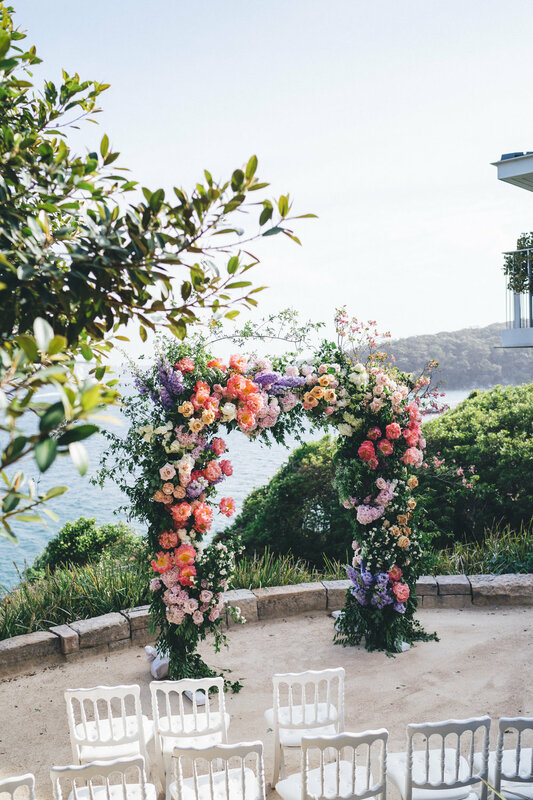 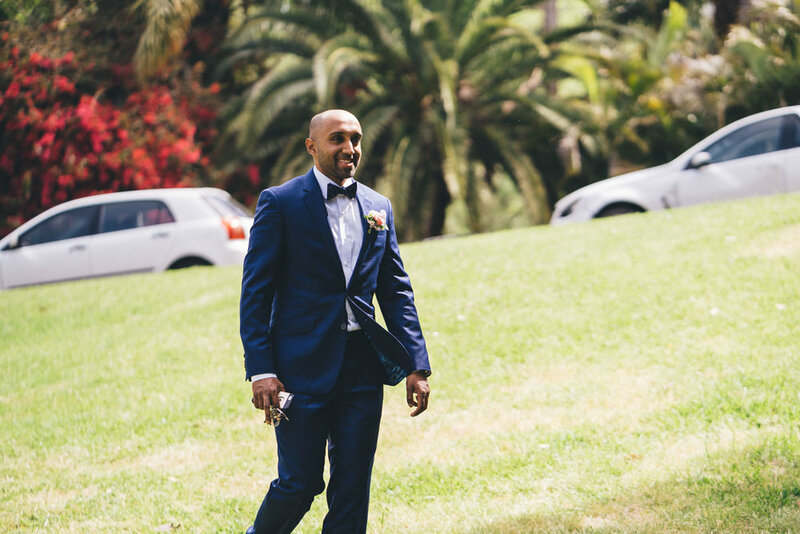 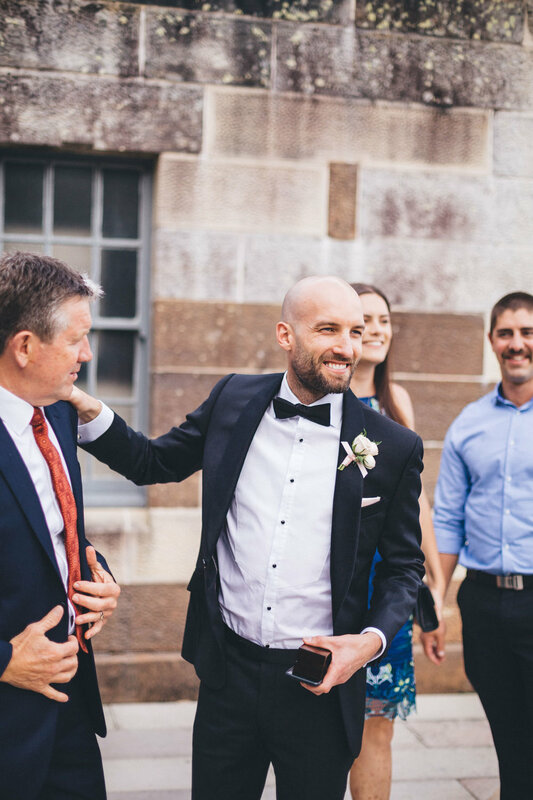 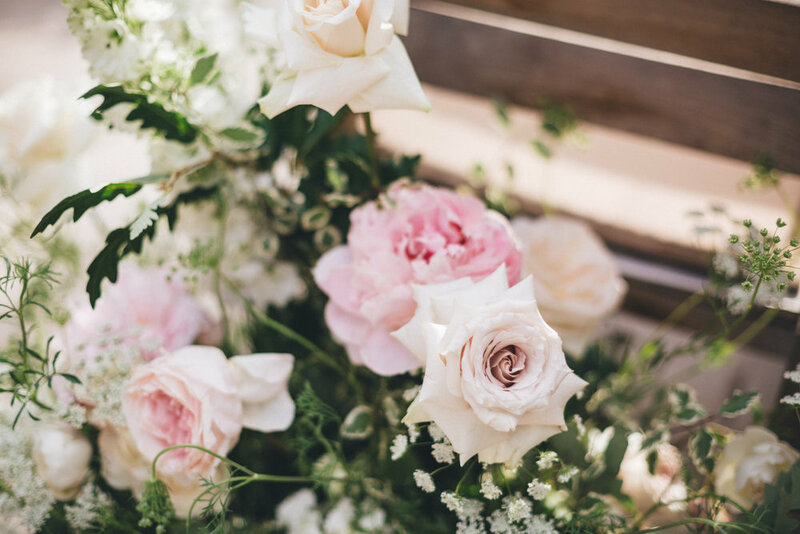 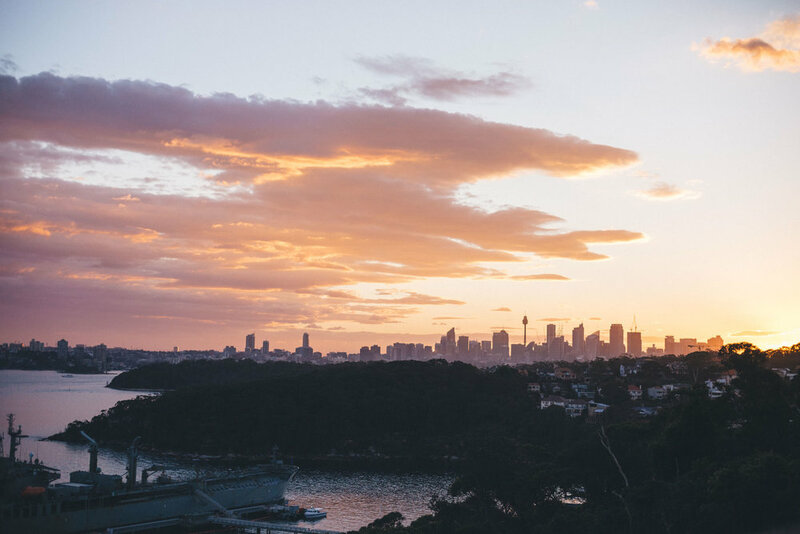 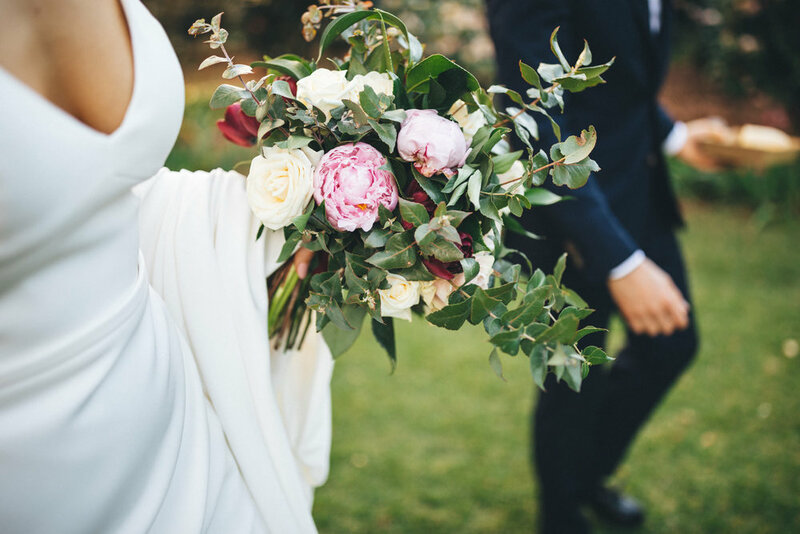 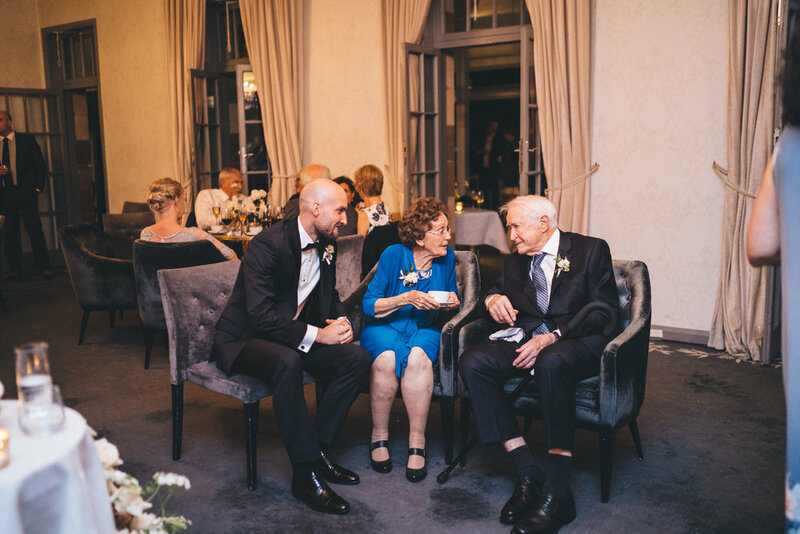 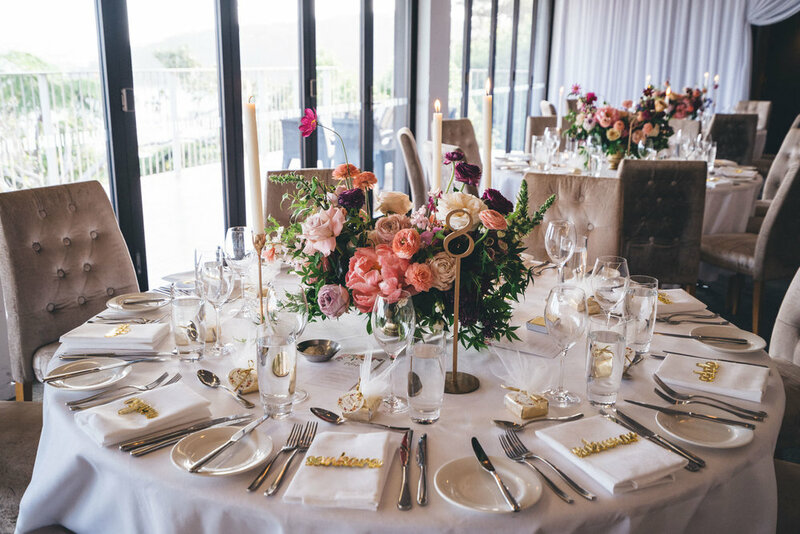 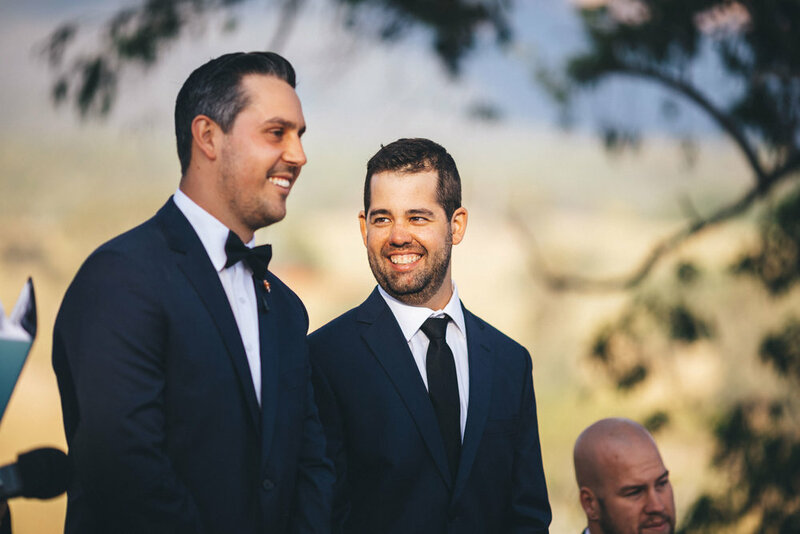 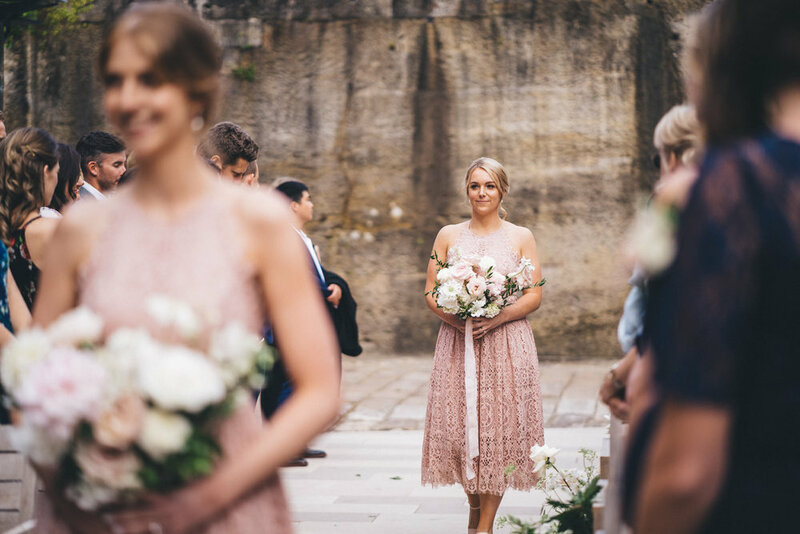 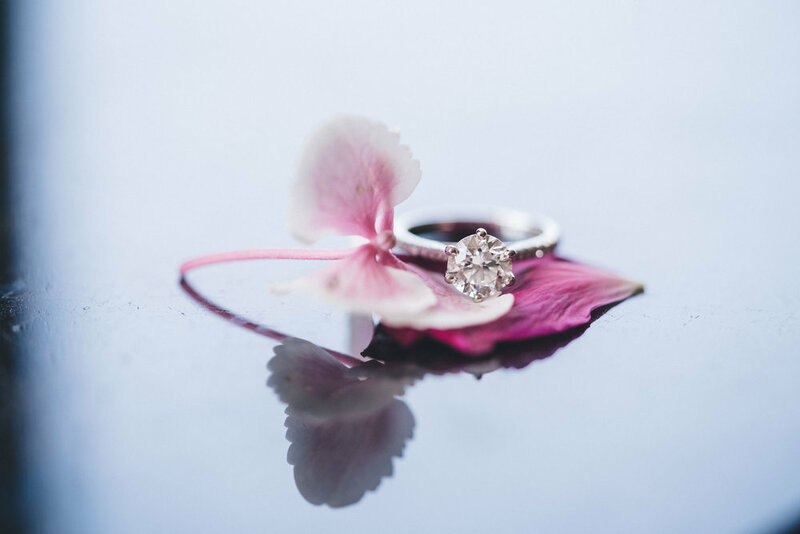 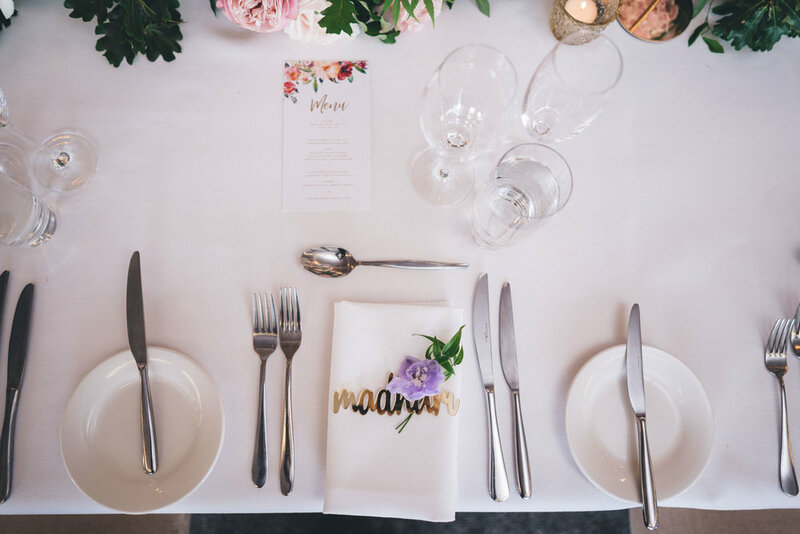 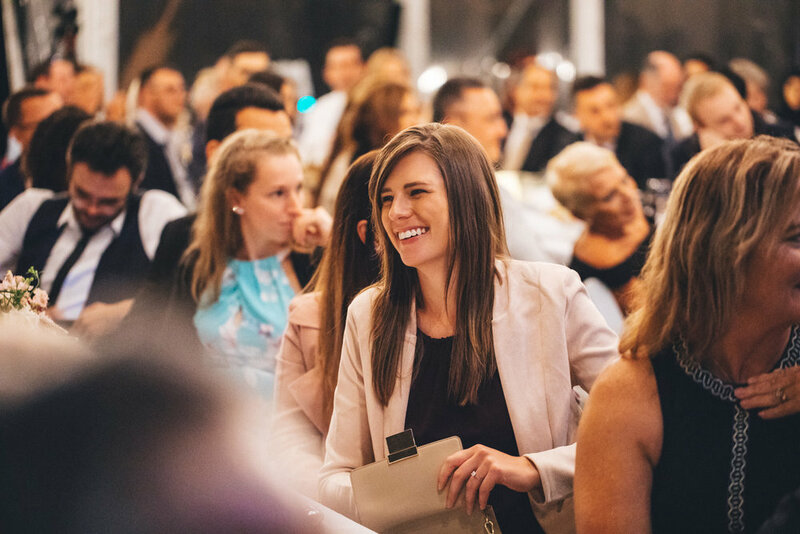 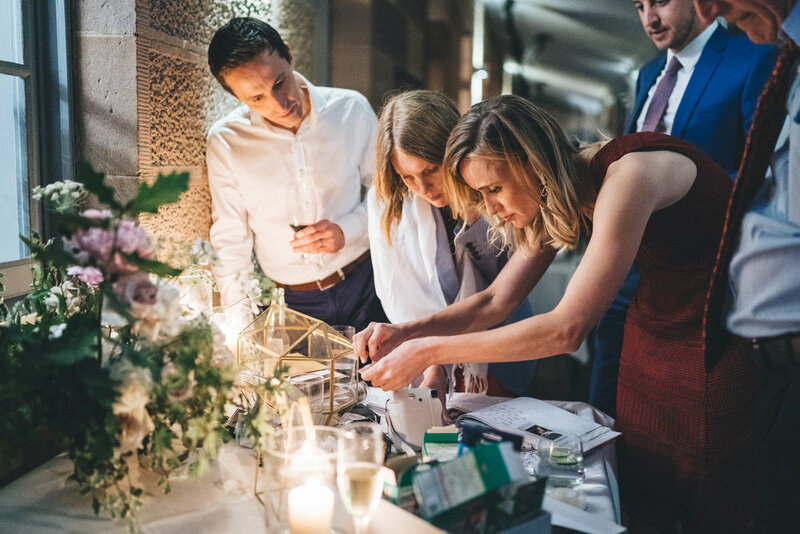 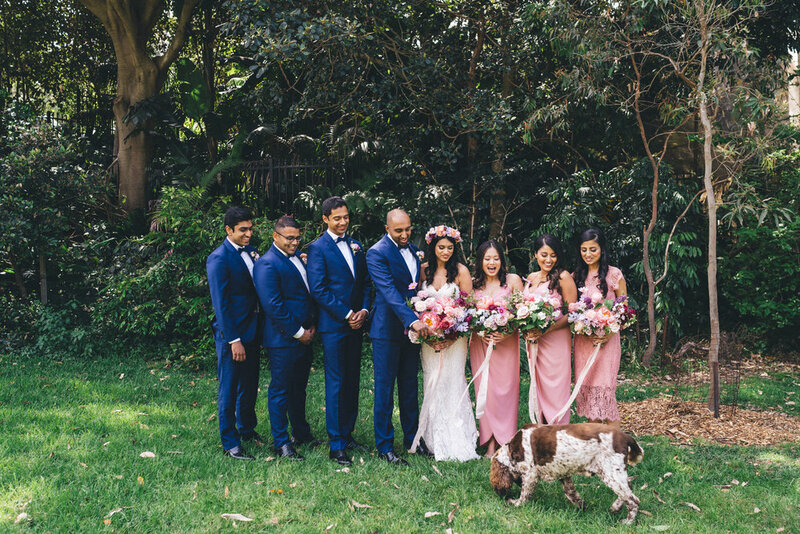 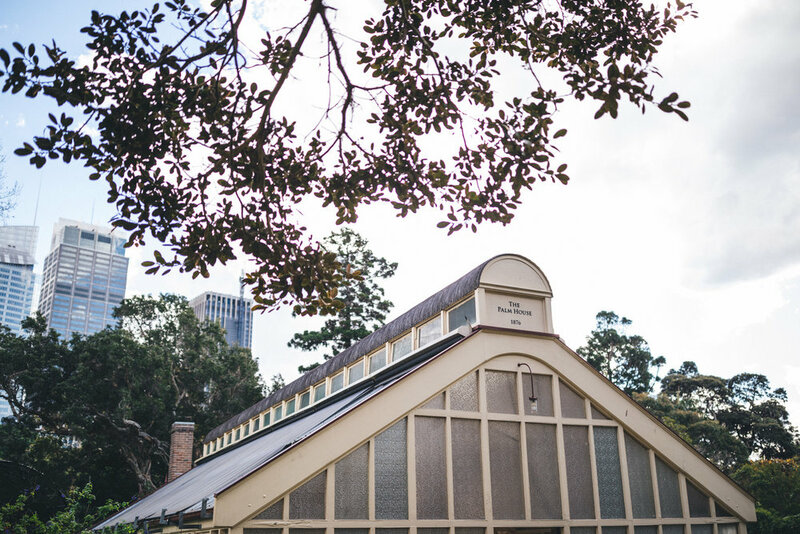 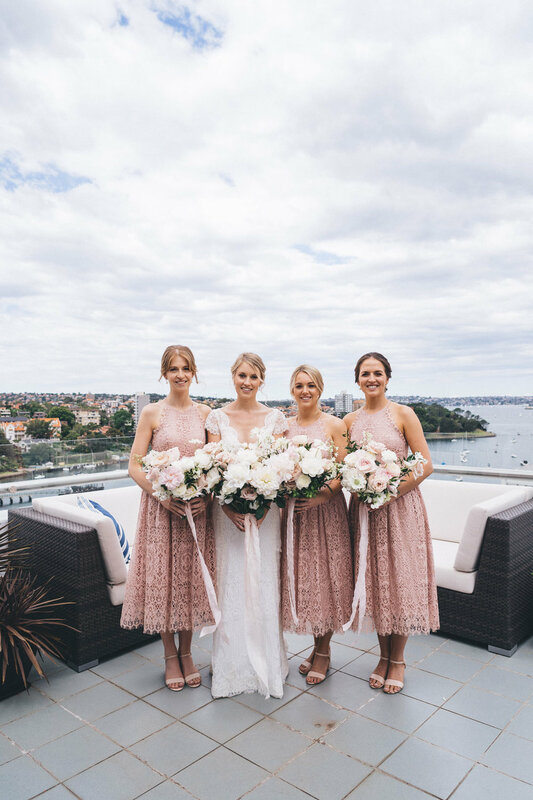 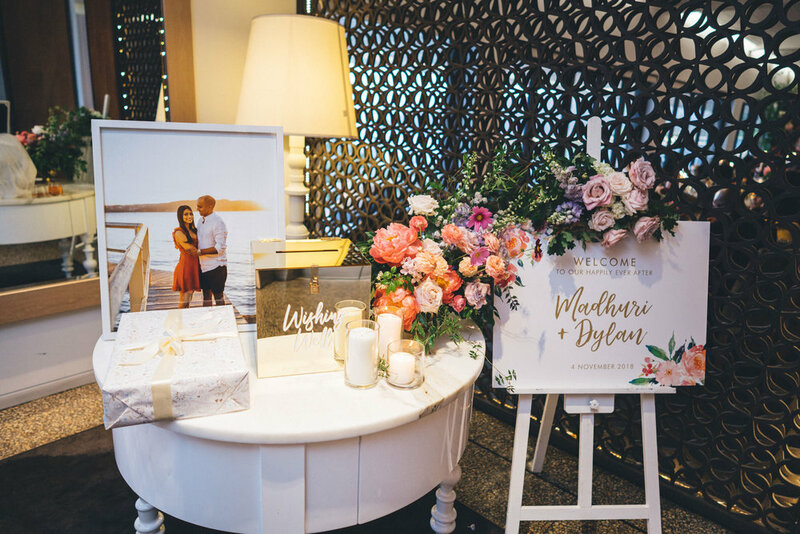 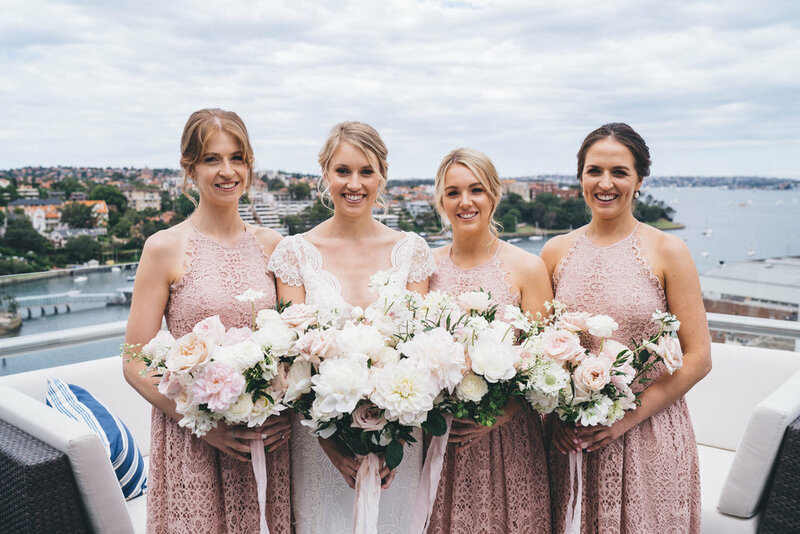 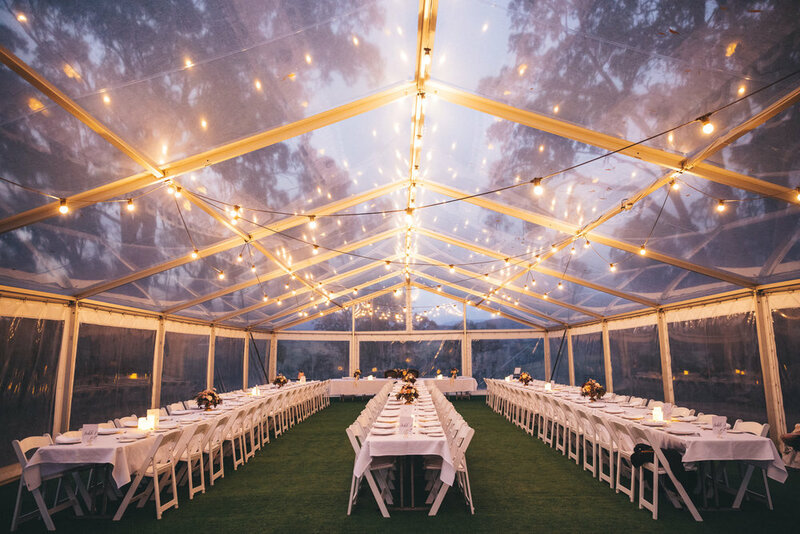 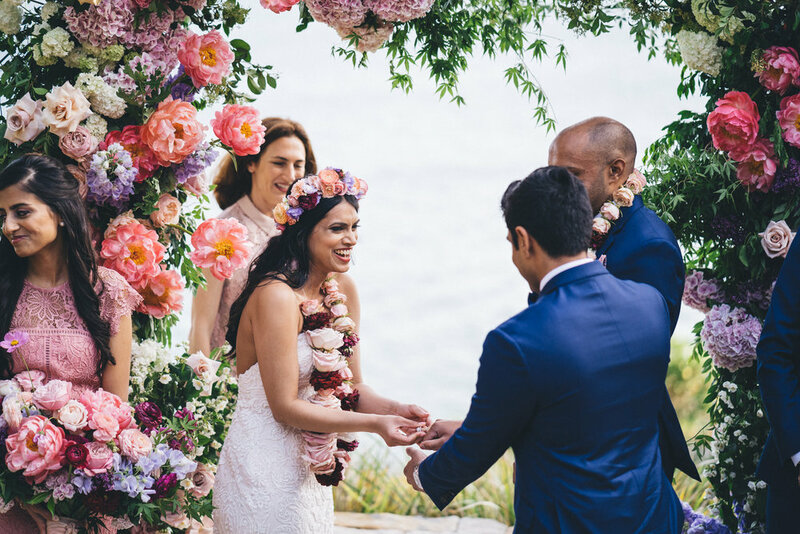 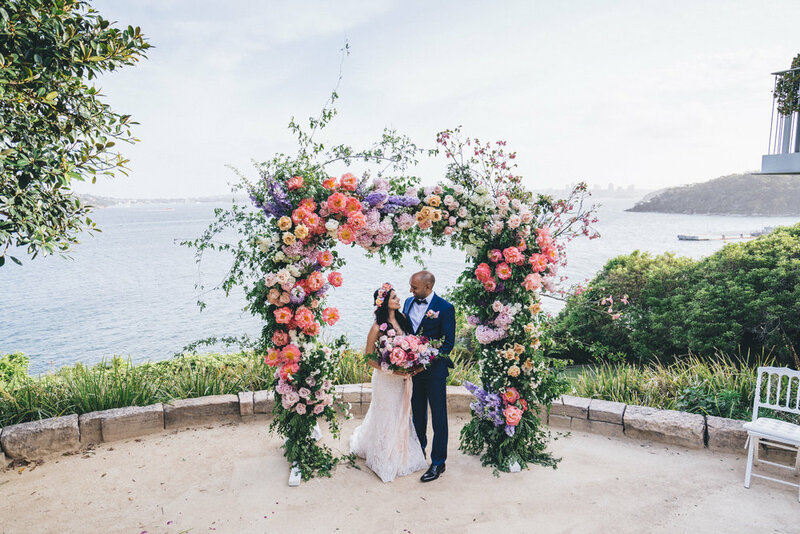 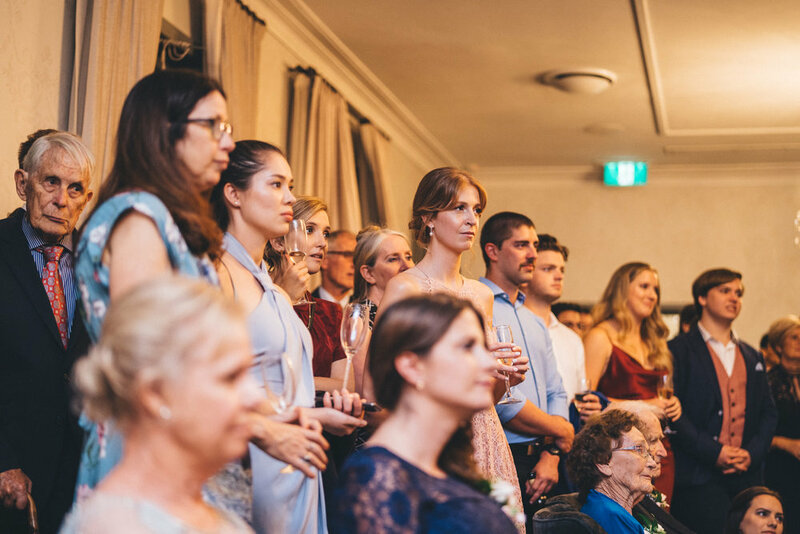 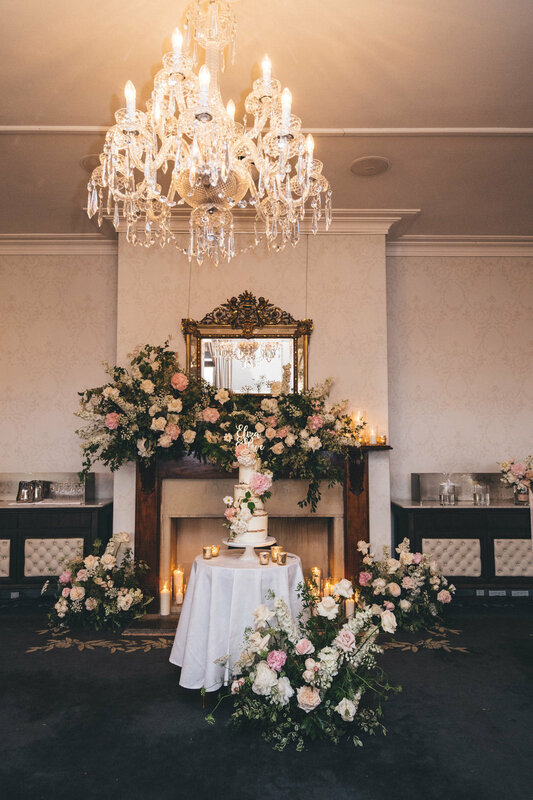 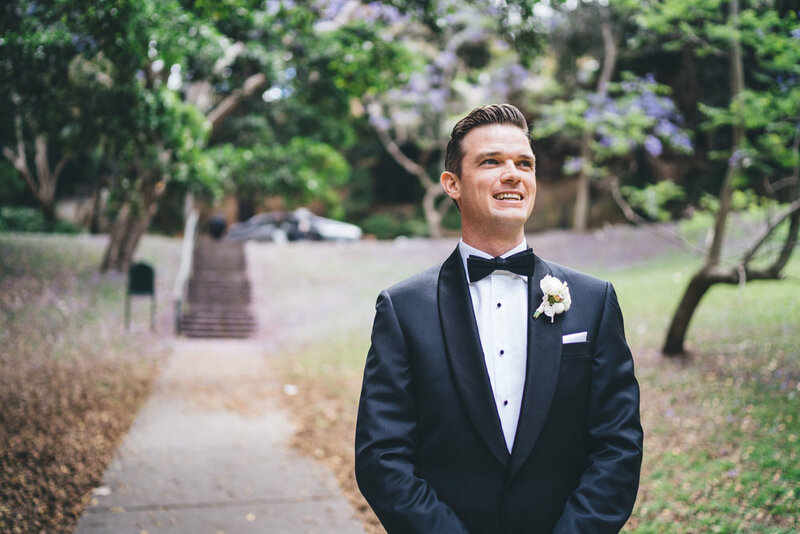 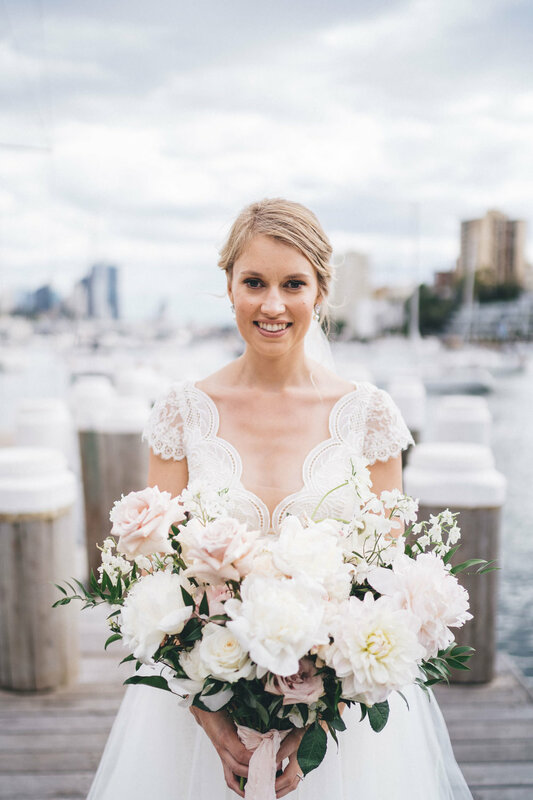 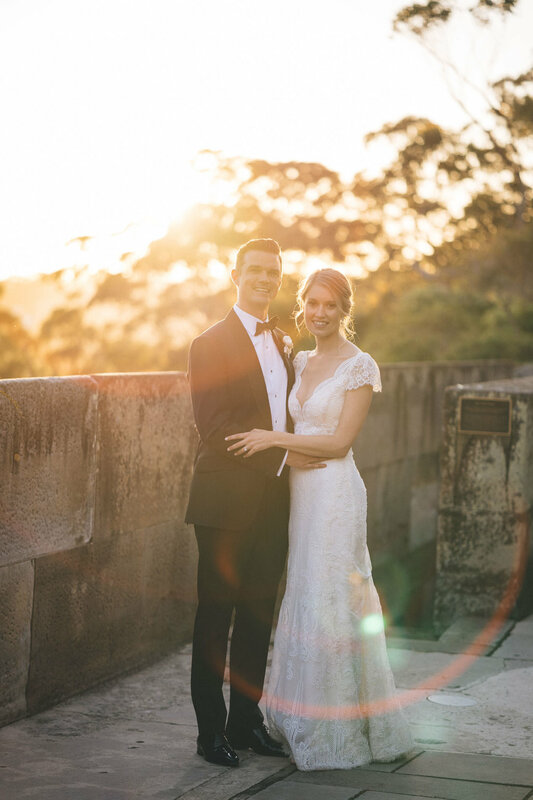 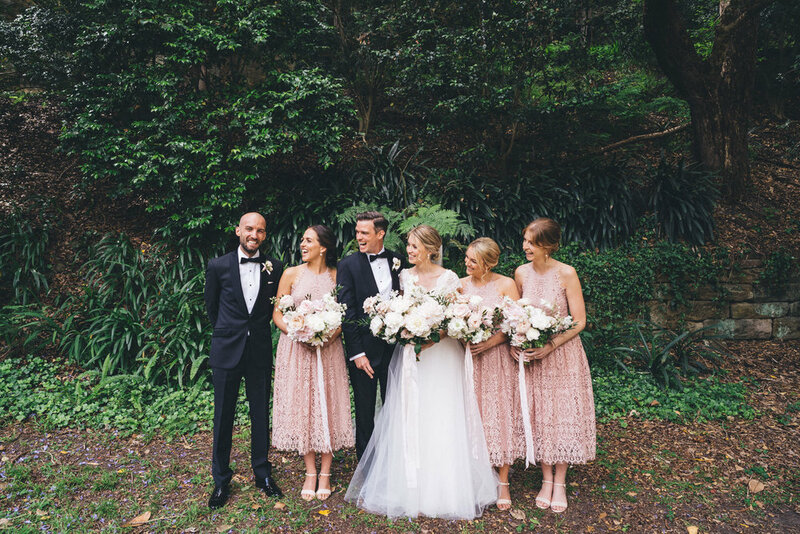 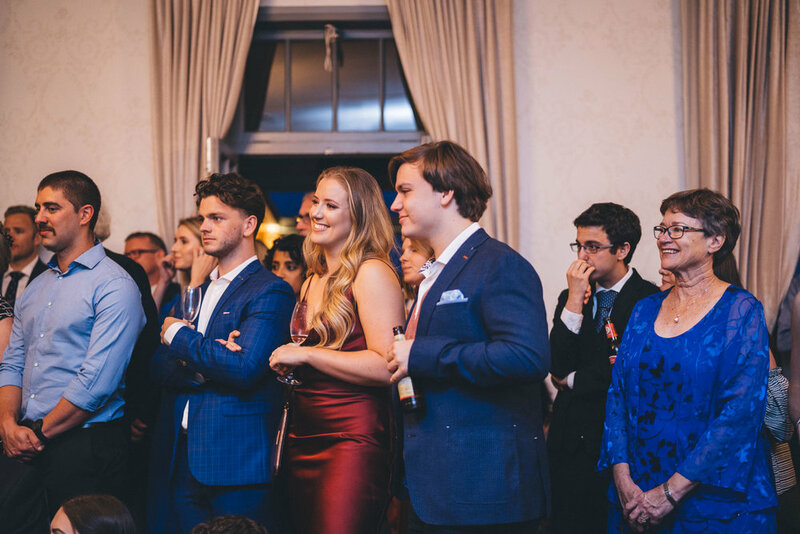 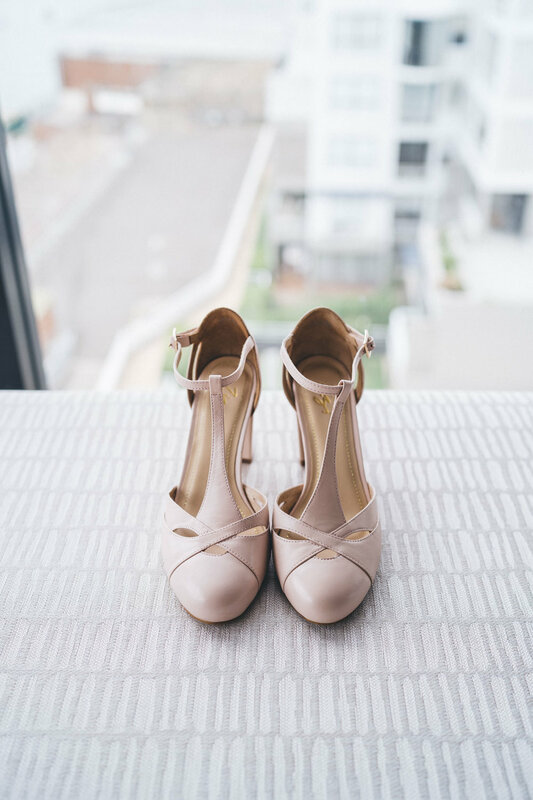 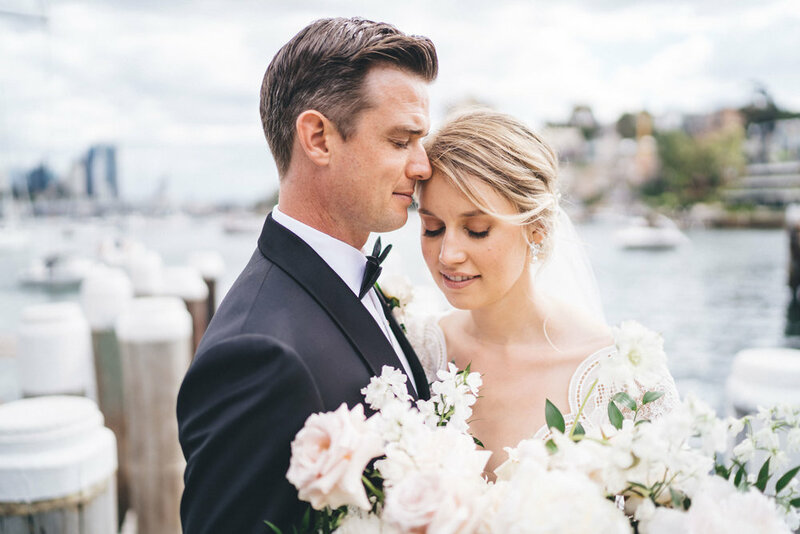 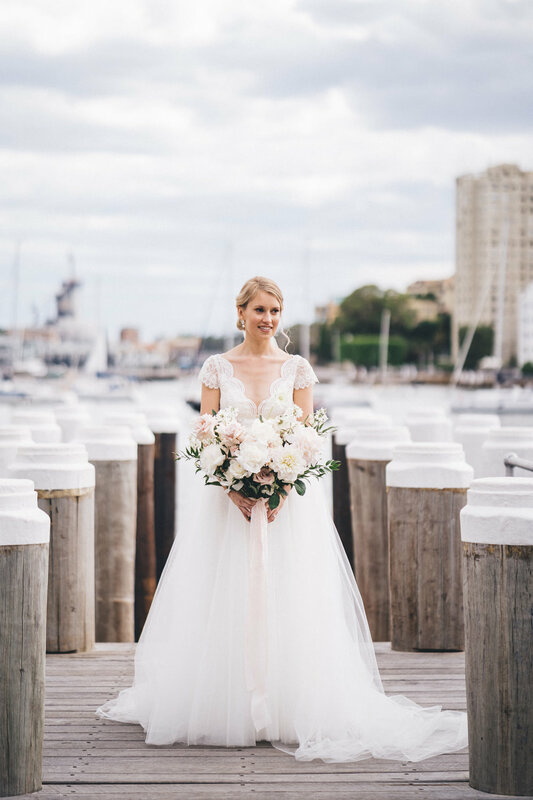 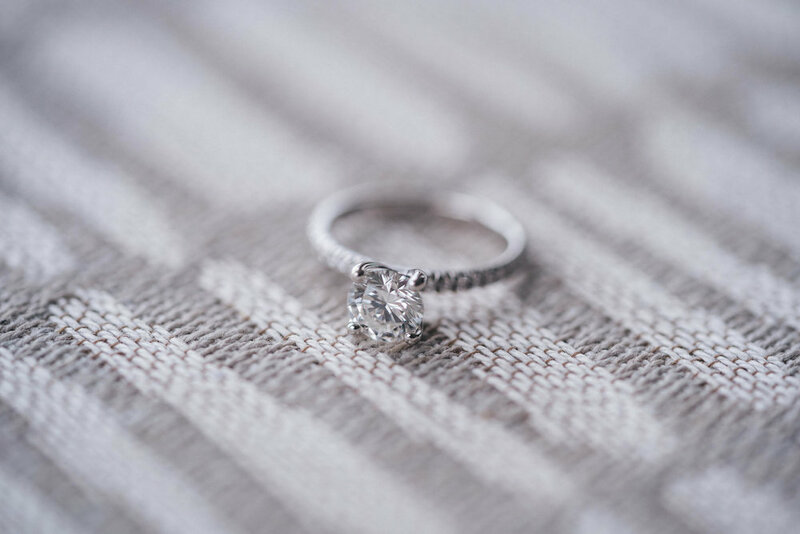 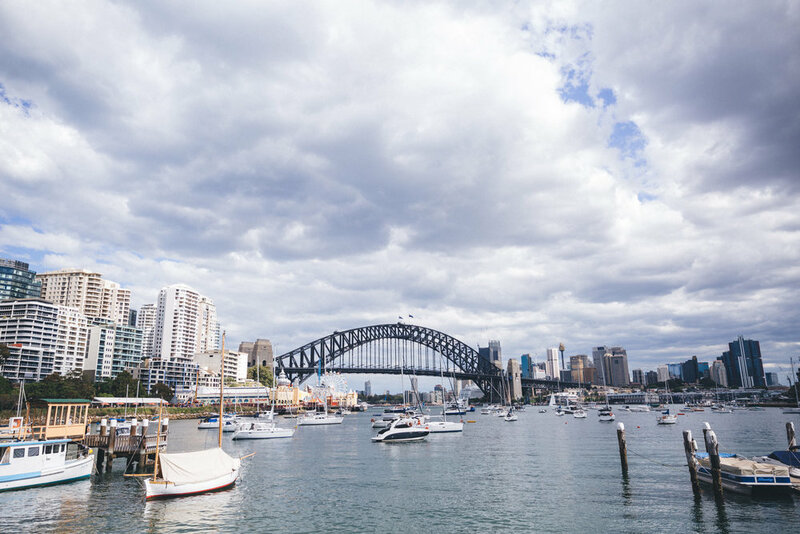 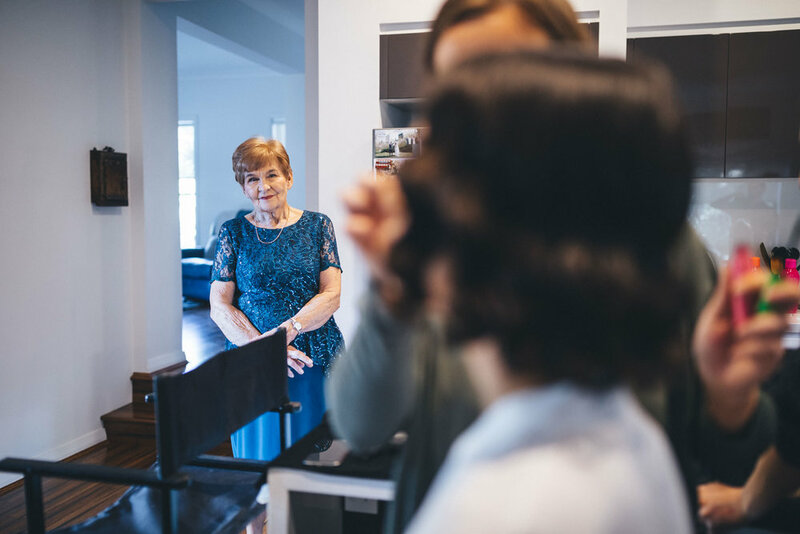 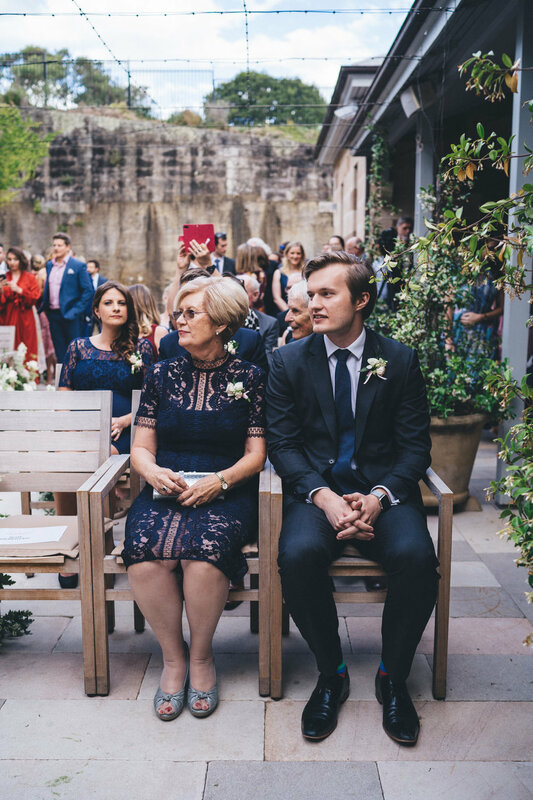 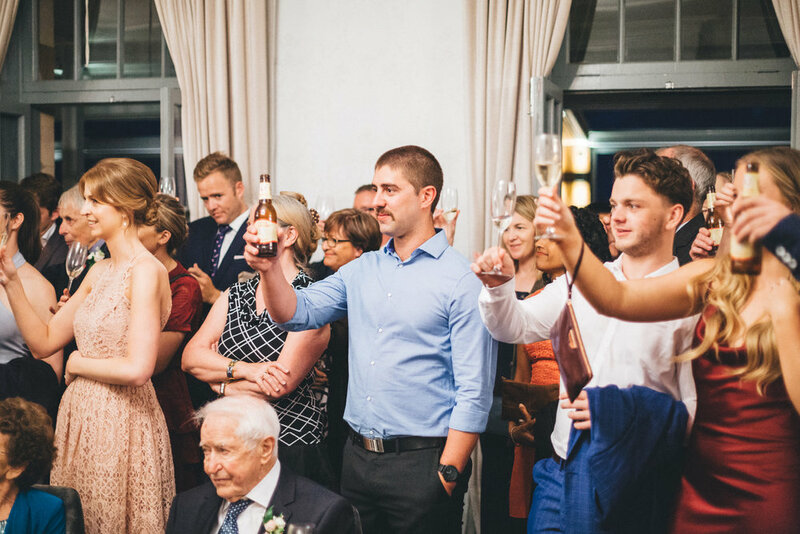 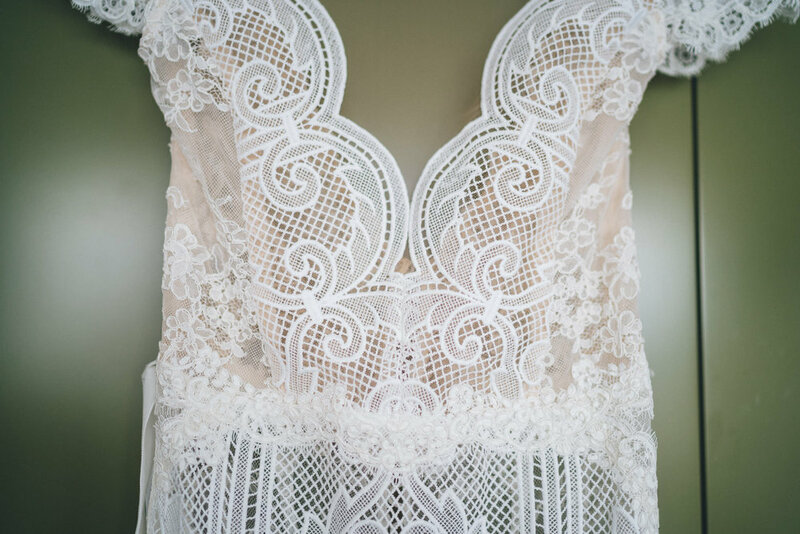 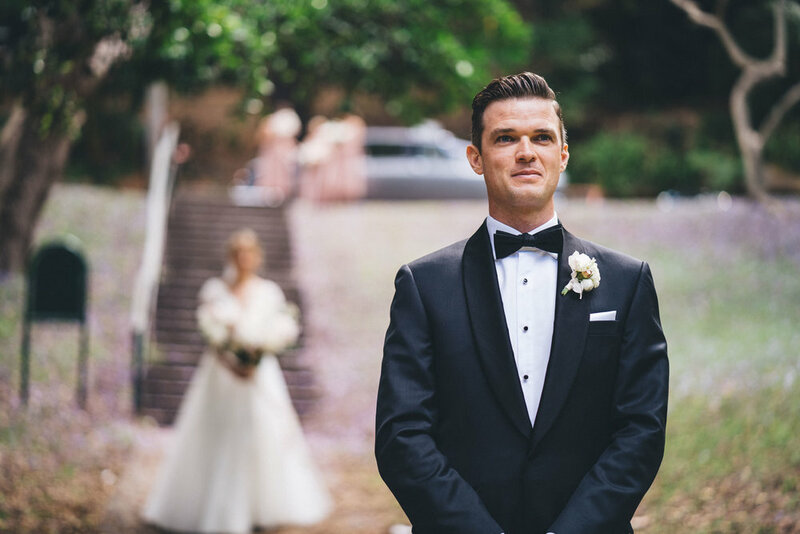 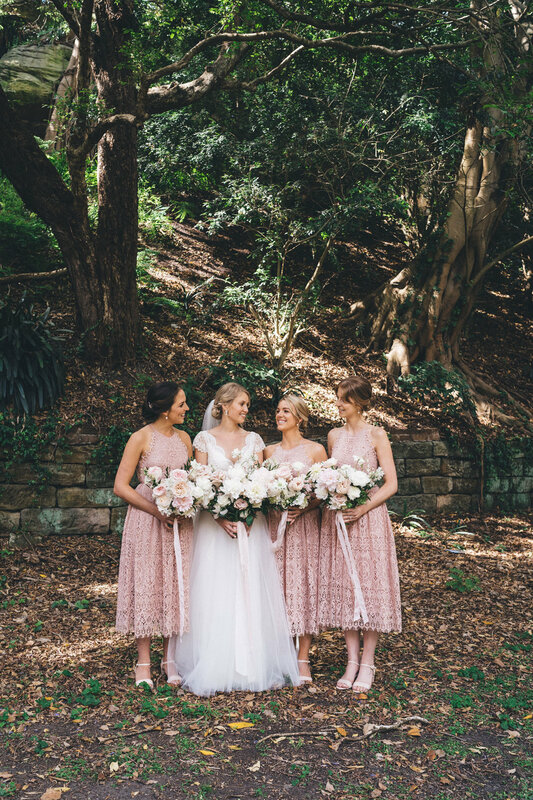 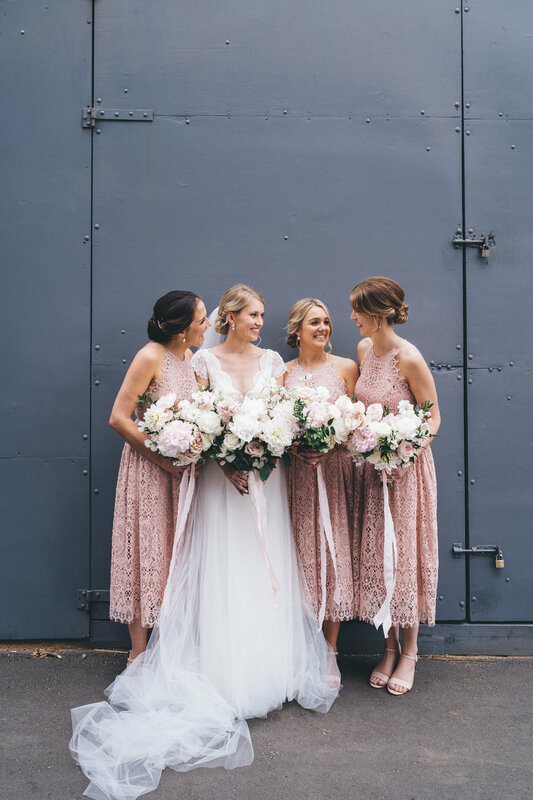 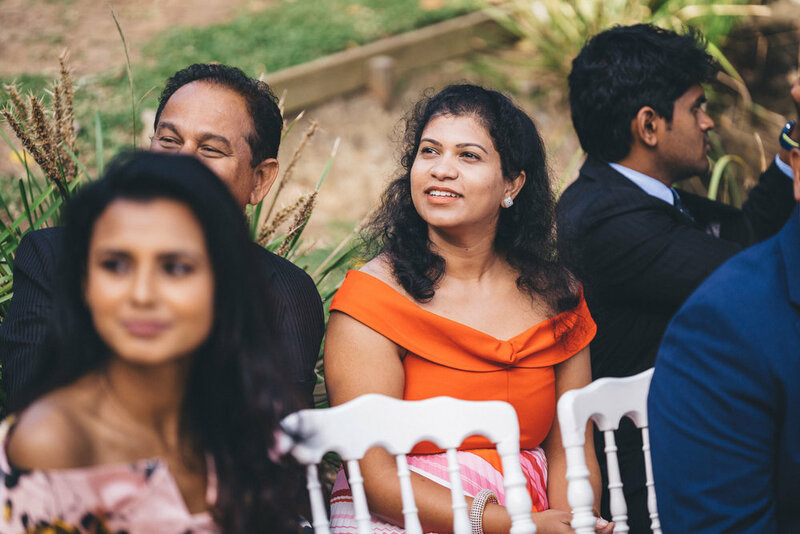 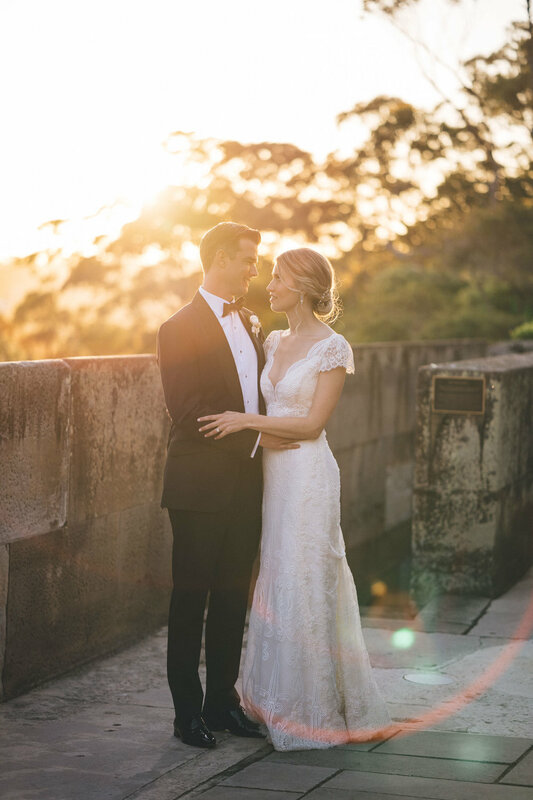 Madi and Dylan invited their closest family and friends to join them at the stunning grounds of Sergeants Mess, Chowder Bay for the loveliest gathering to celebrate their love. 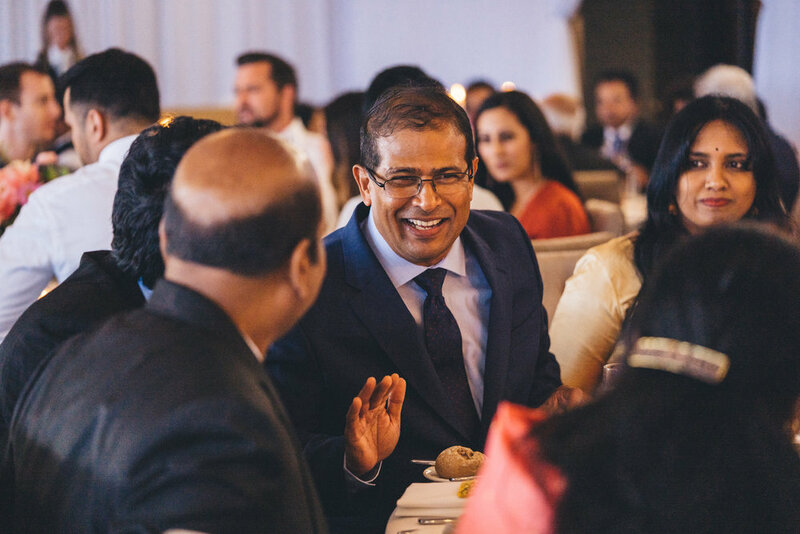 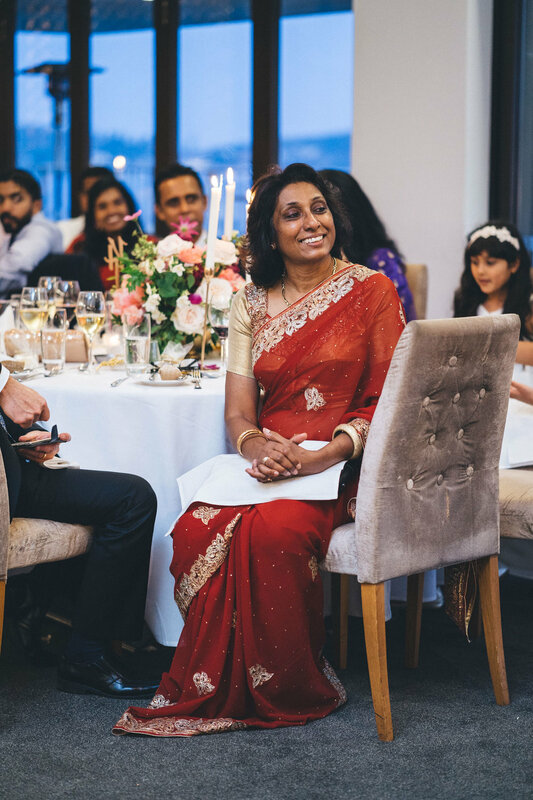 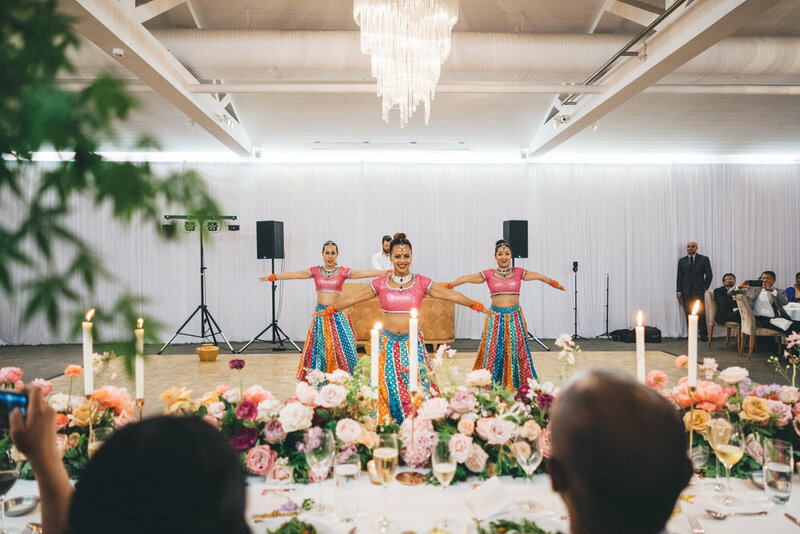 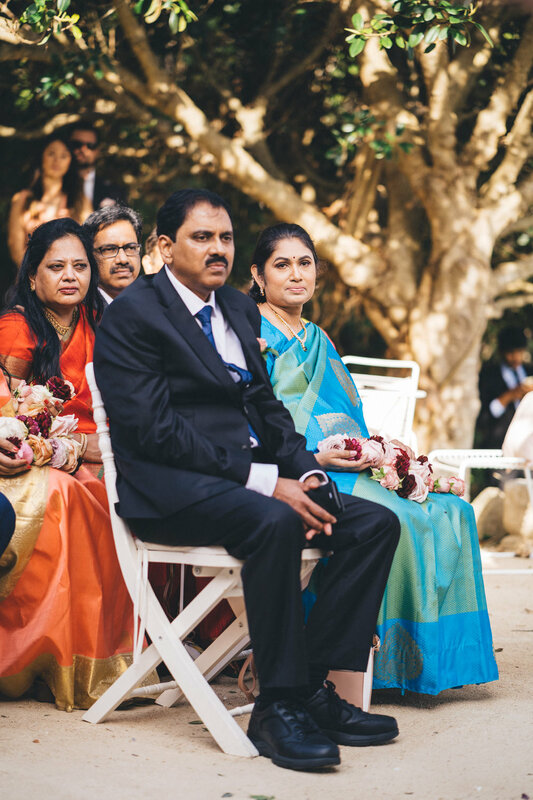 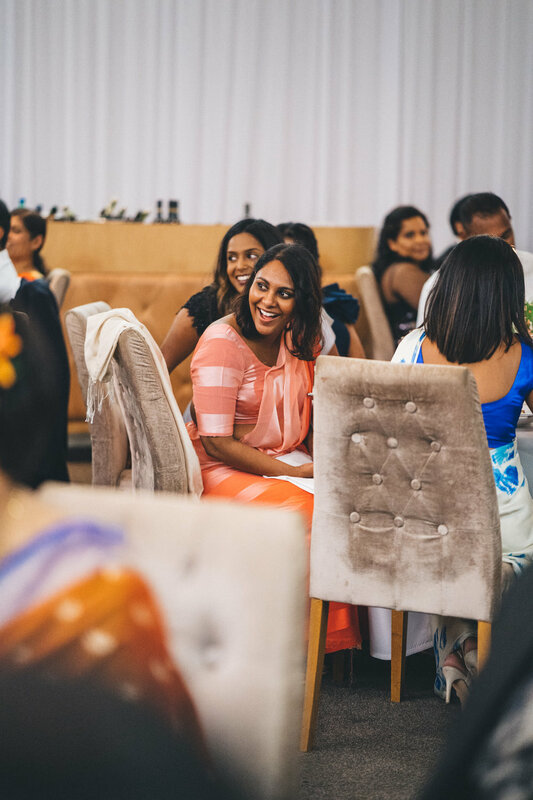 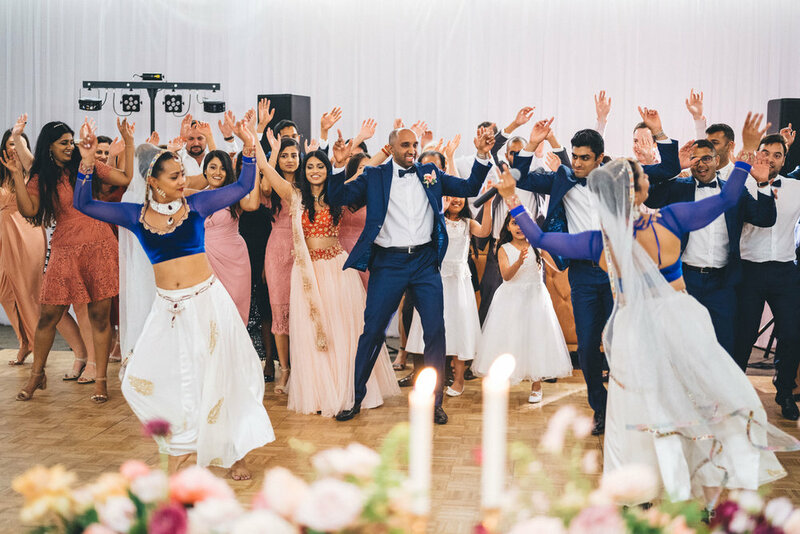 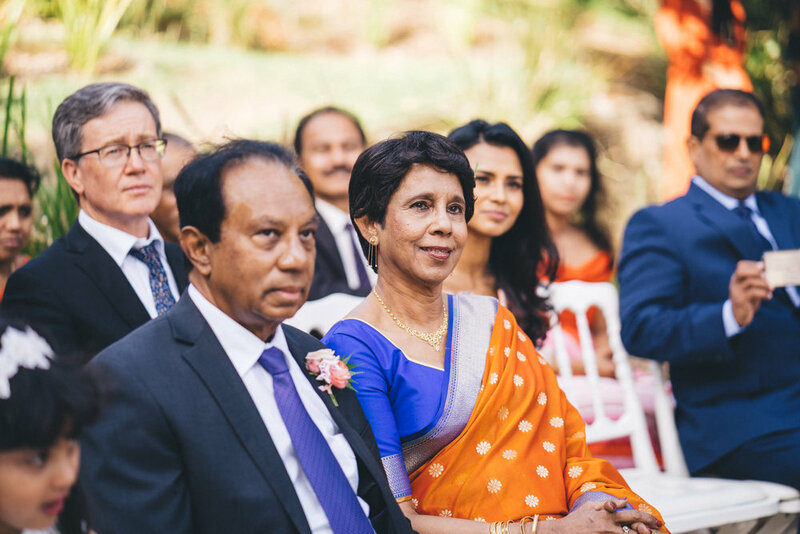 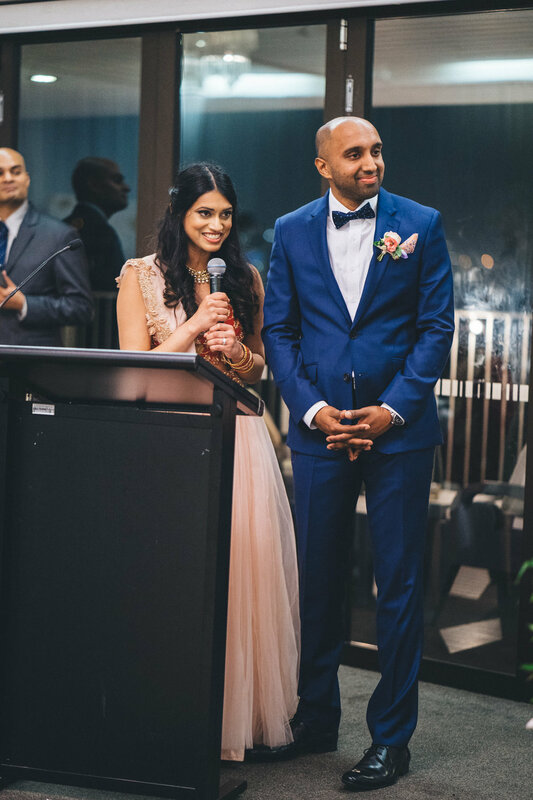 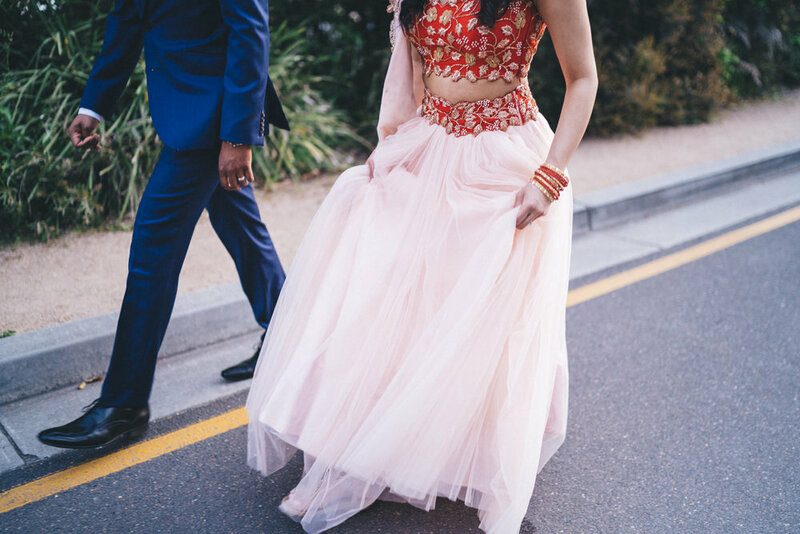 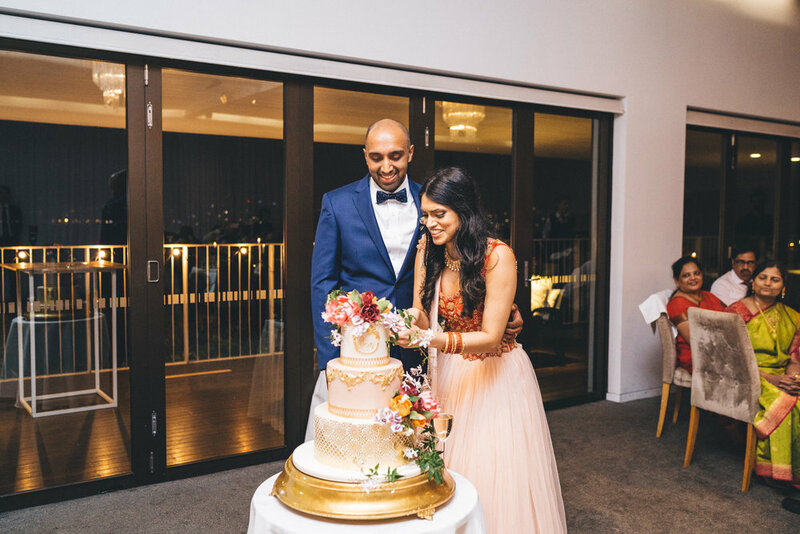 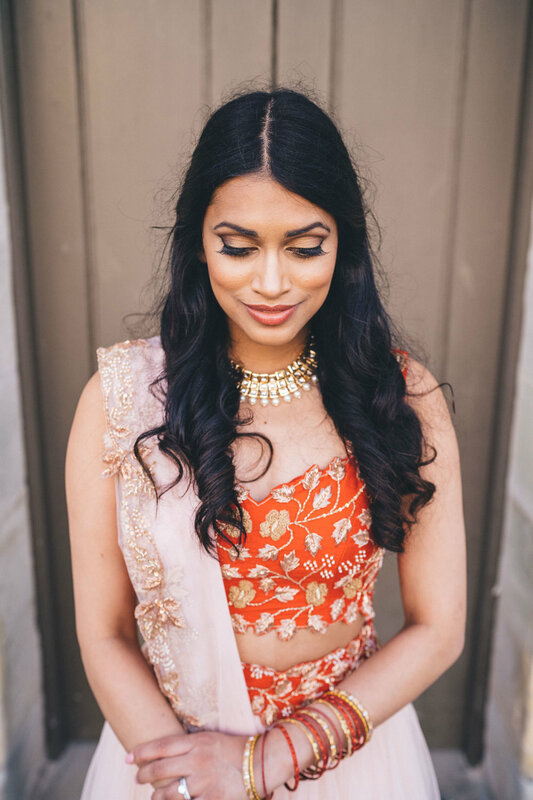 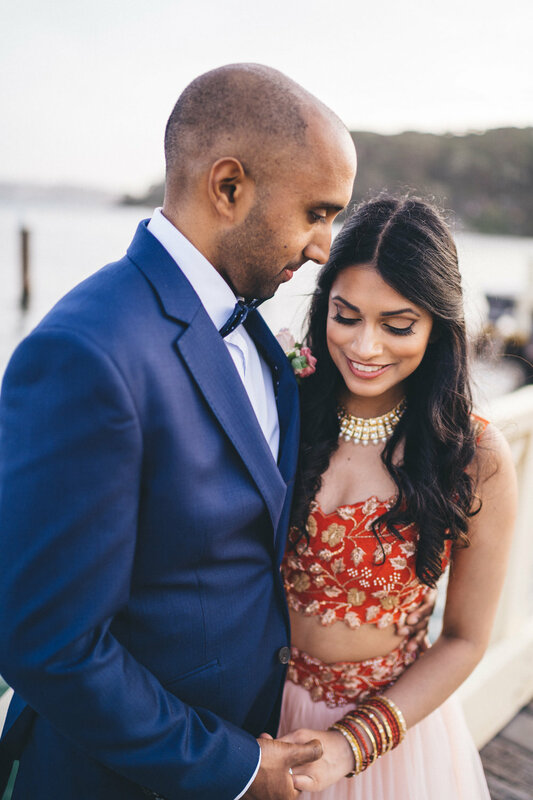 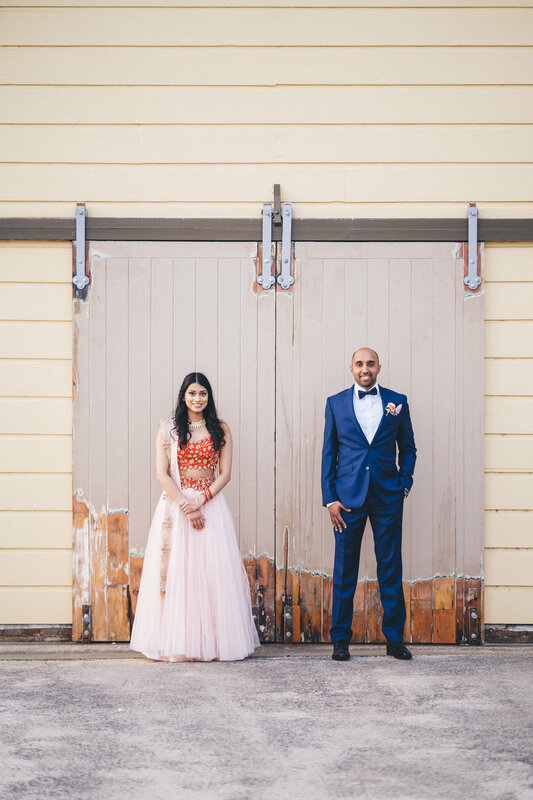 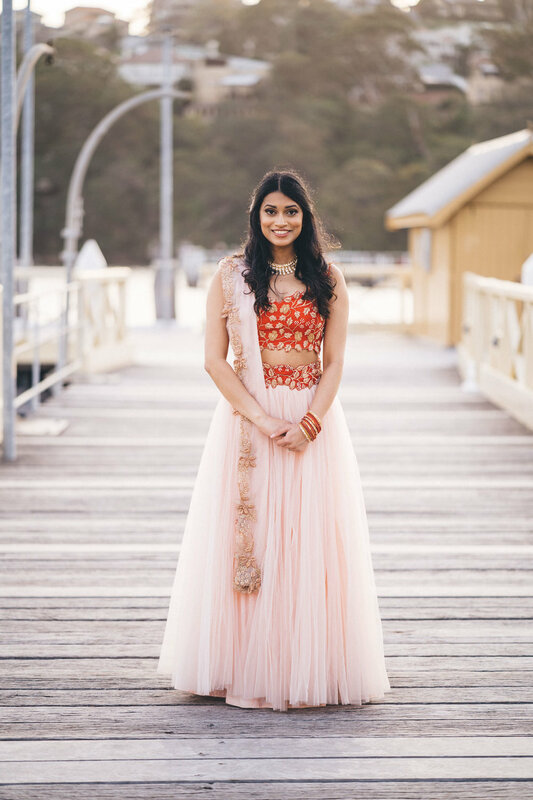 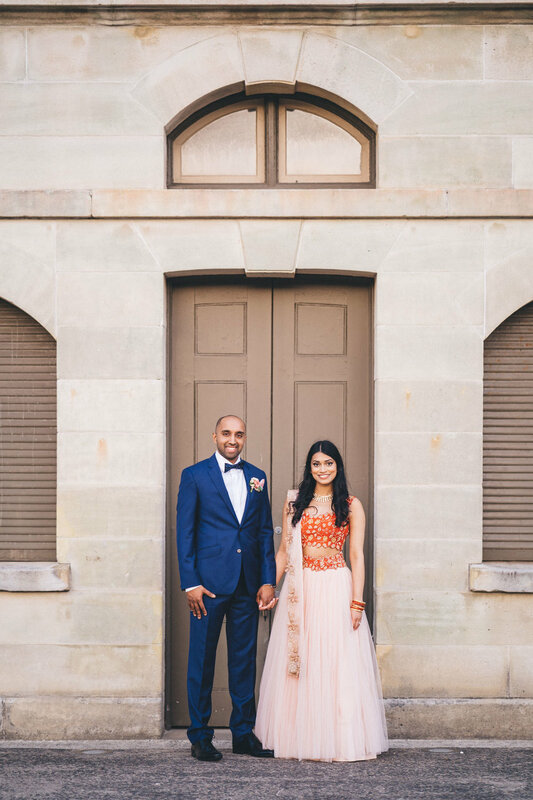 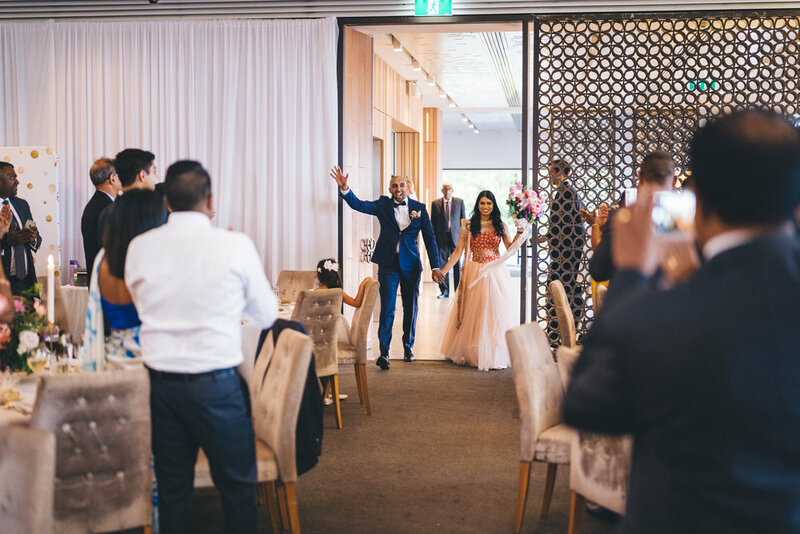 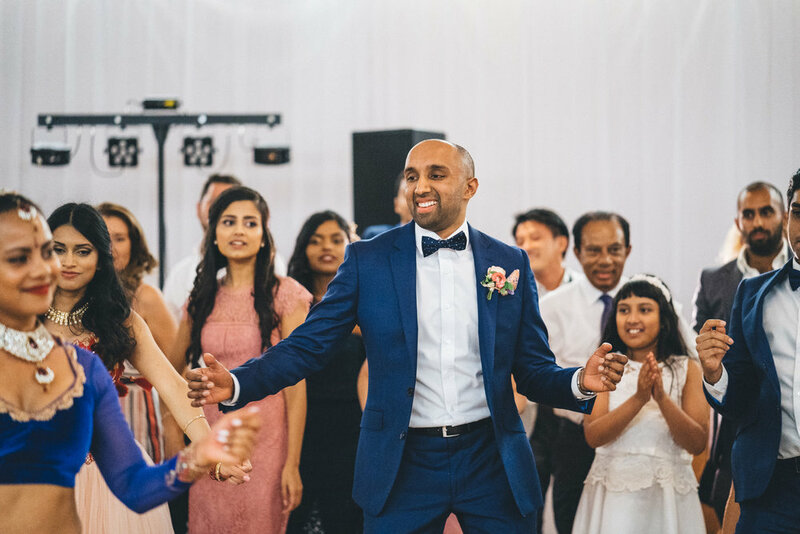 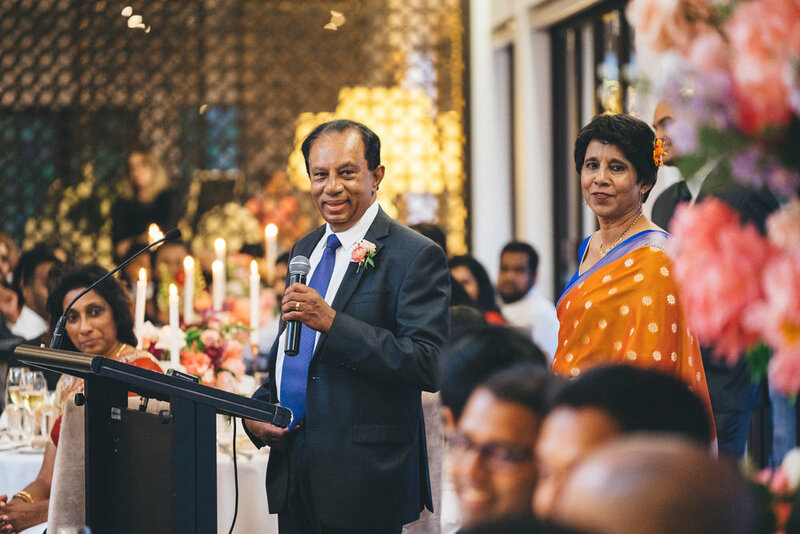 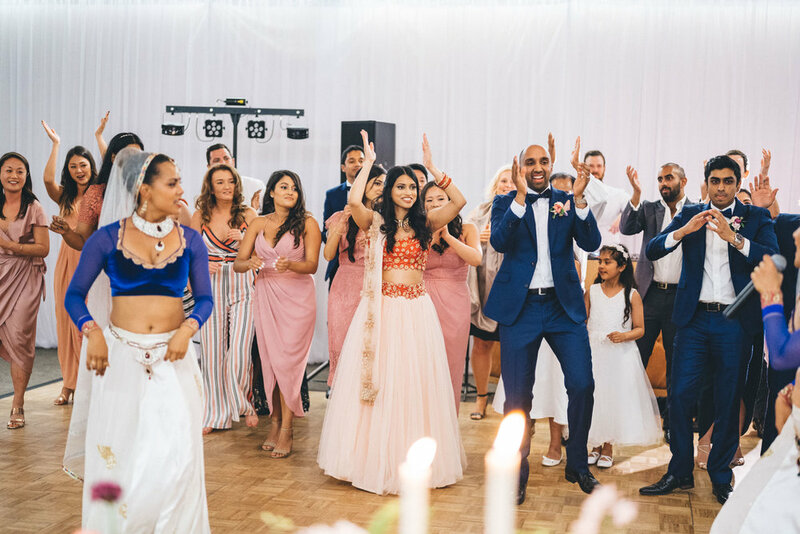 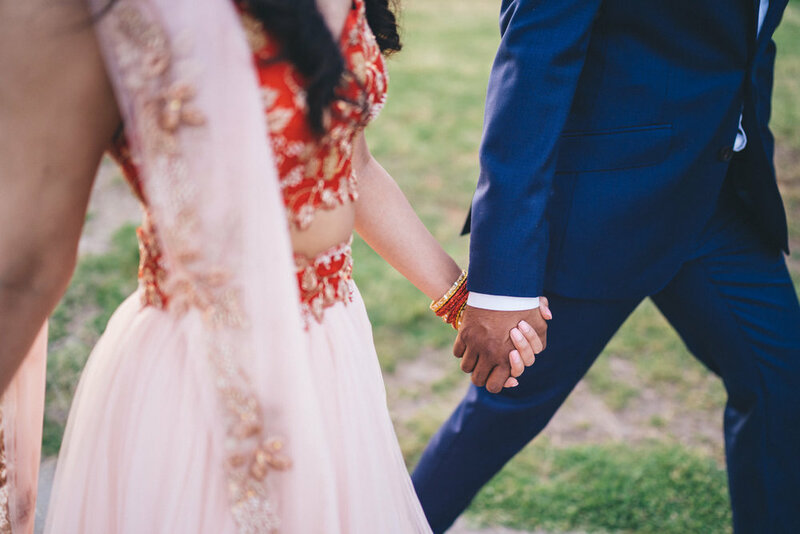 Along with a classically beautiful civil ceremony they fused the day with special touches representing their Indian and Sri Lankan heritage, including an amazing Bollywood performance that involved the entire dance floor. 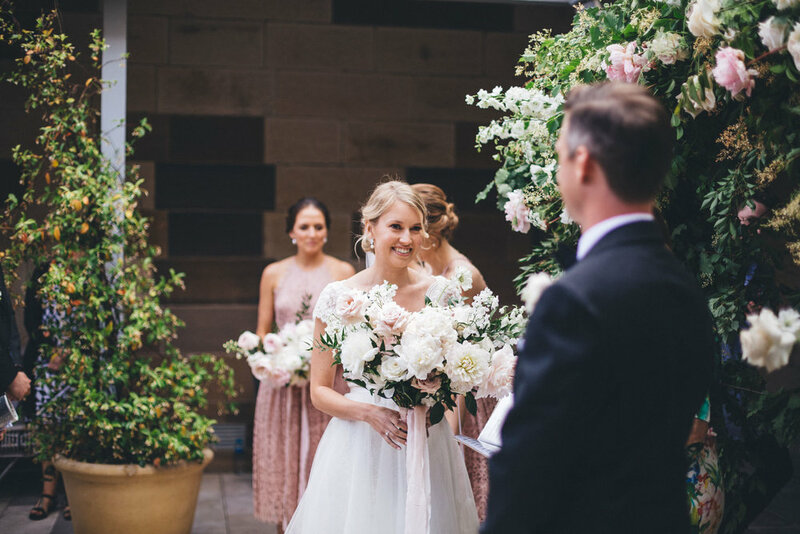 Along with some of my downright favourite and most talented vendors in town: Miss Fleuriste who created the most incredible floral arch and bouquet (keep scrolling you’ll know what I mean), styling and coordination by Honey Lane, the ever amazing team at Sergeants Mess and the most heartfelt ceremony by one of the most genuine and wonderful celebrants in Sydney Melissa Soncini everything came together for the most gorgeous day. 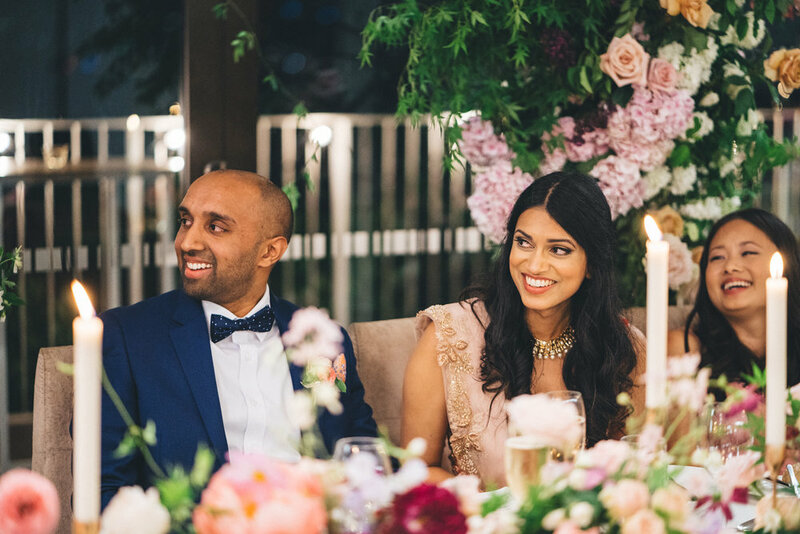 These lovers: so down to earth, delightfully relaxed and prioritised on simply being present and having fun with their loved ones. 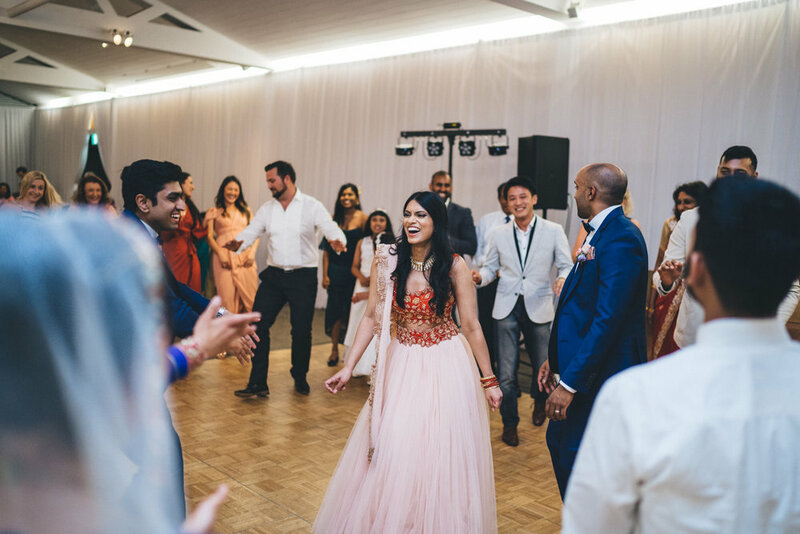 Watching and documenting this sublime day unfold, ending with everyone on the dancefloor over at Sergeants Mess cheering their hearts out for these two incredibly kind and wonderful humans - it’s been nothing short of pure joy. 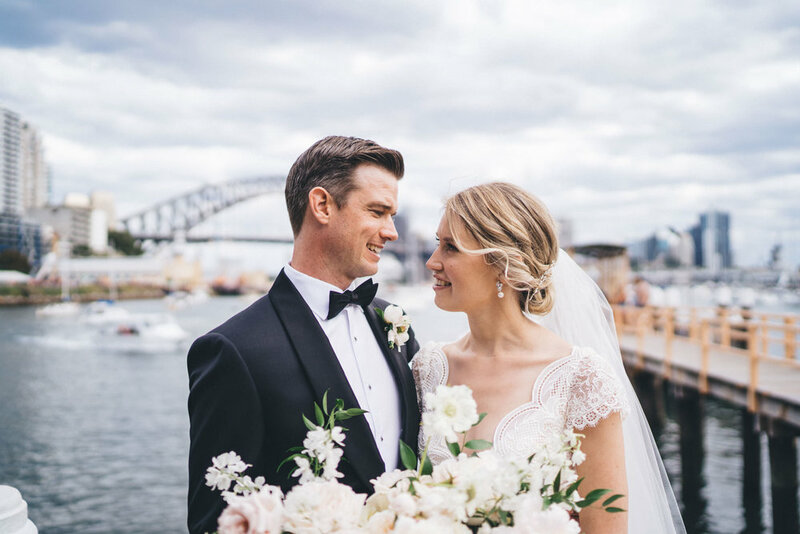 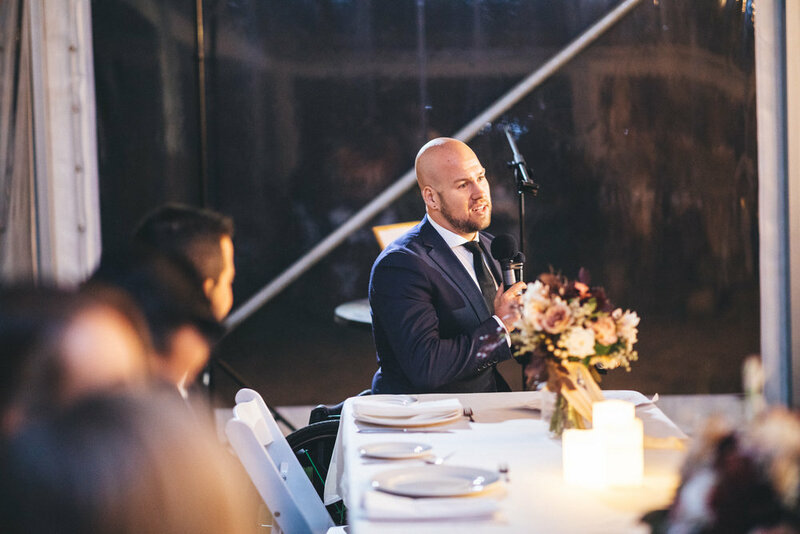 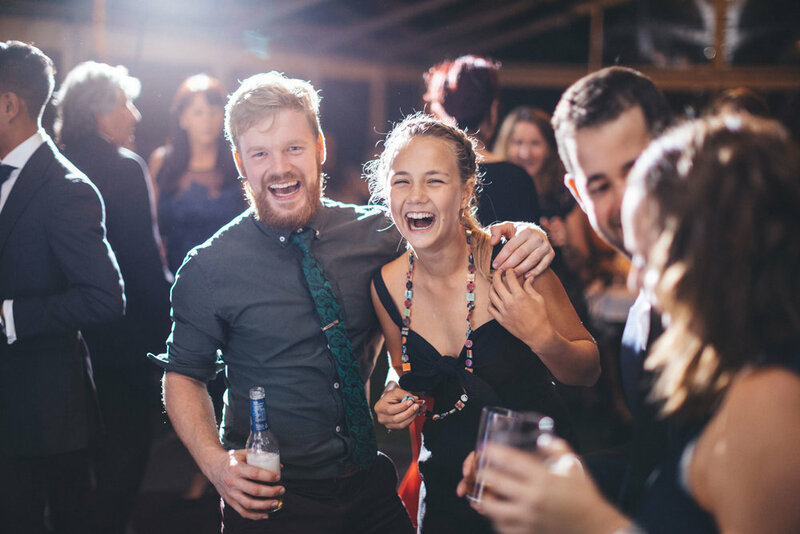 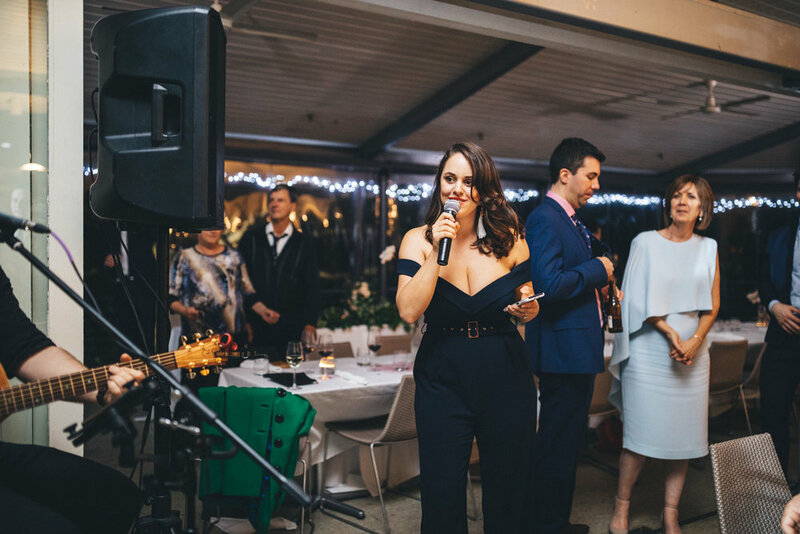 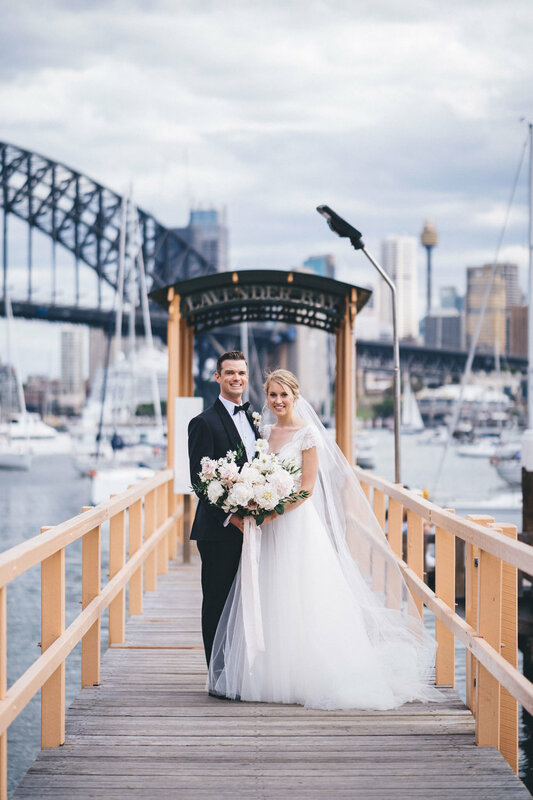 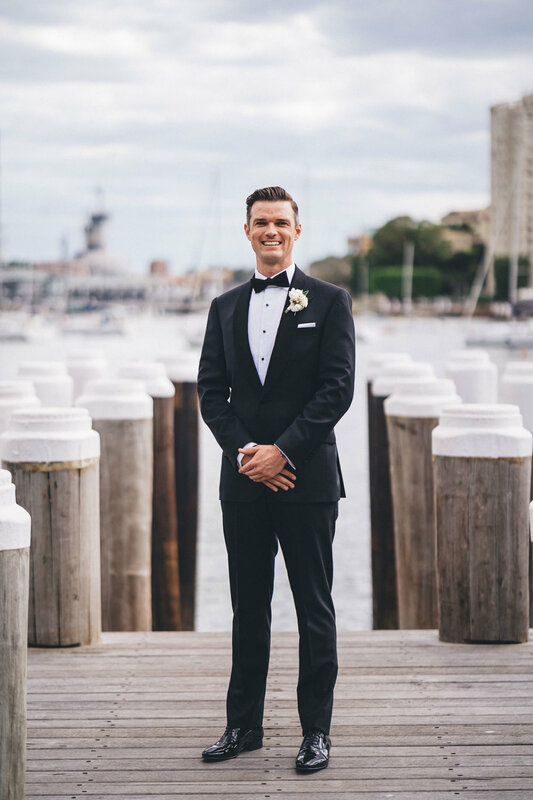 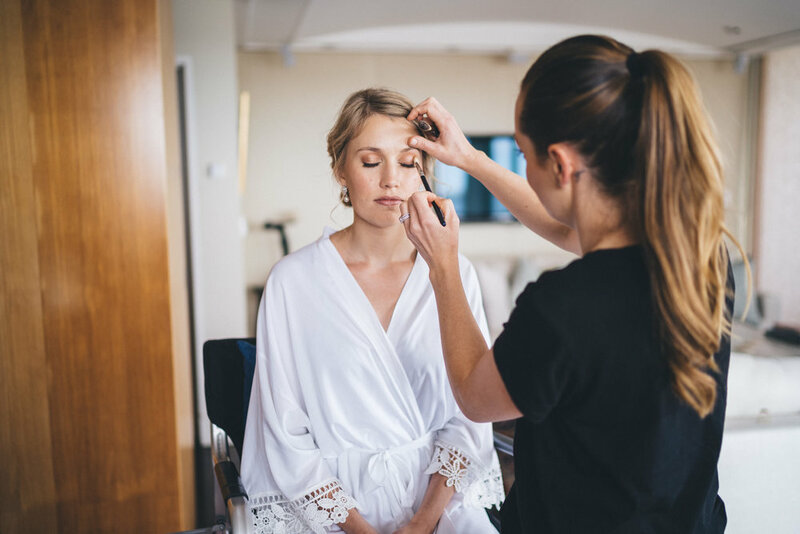 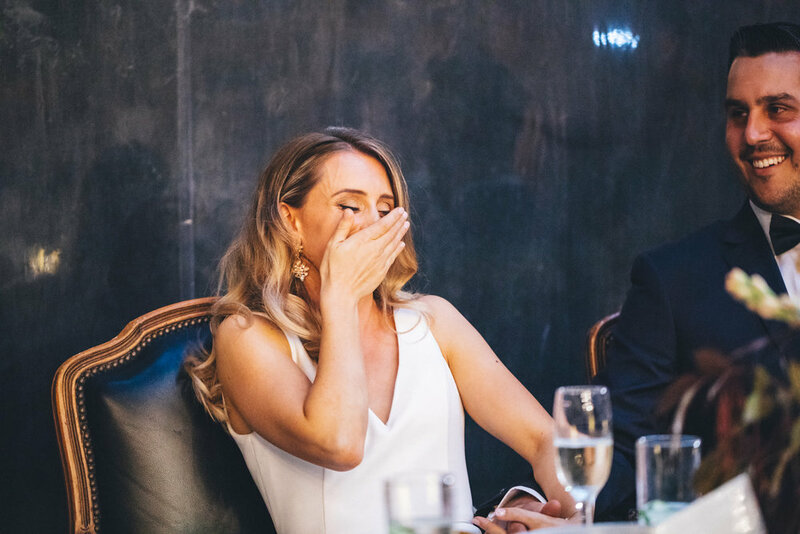 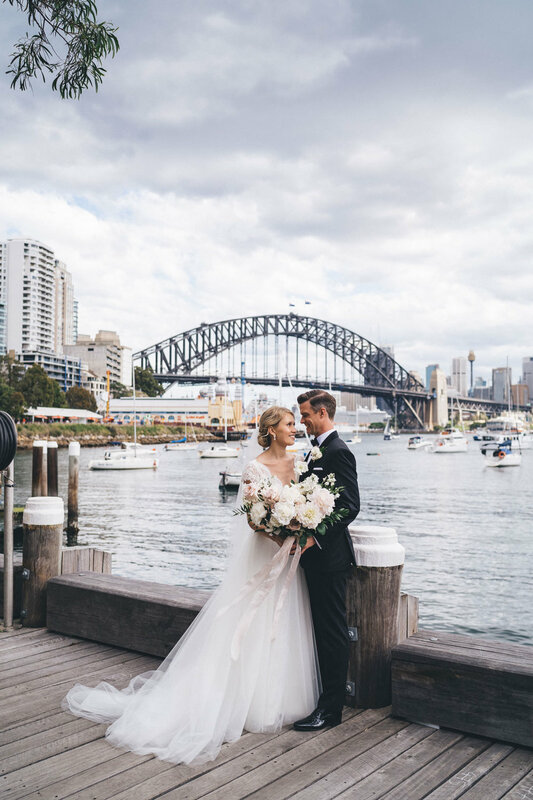 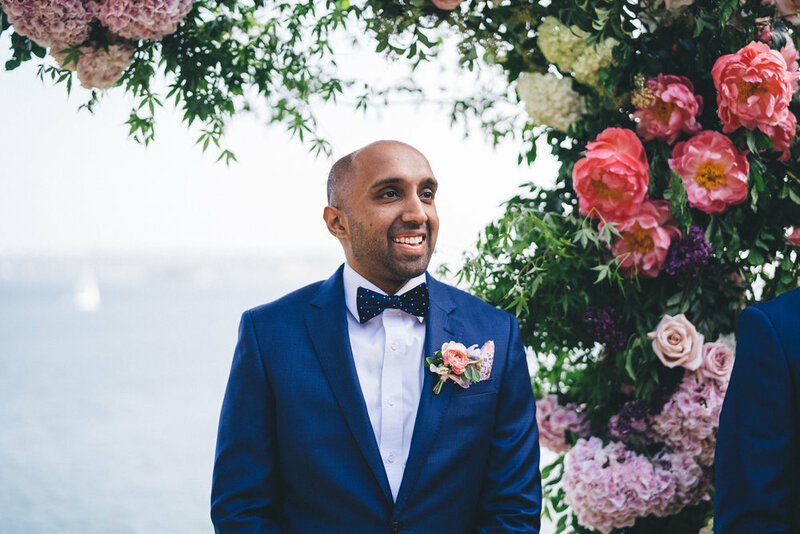 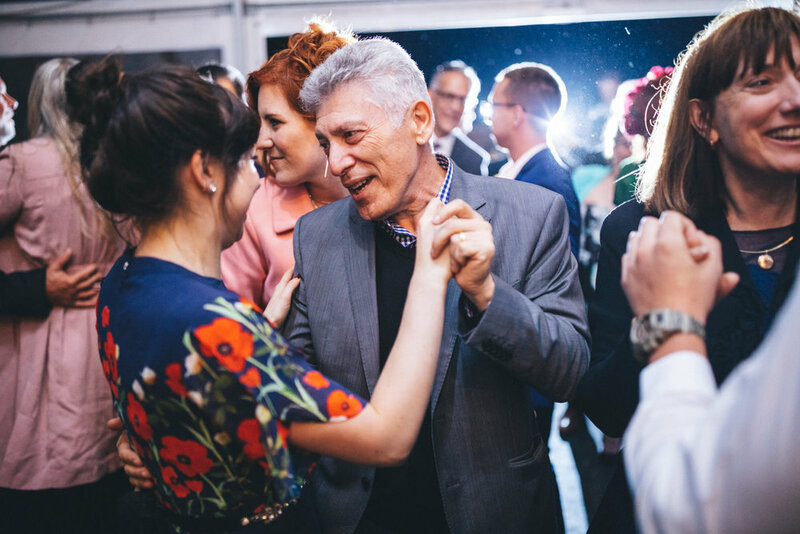 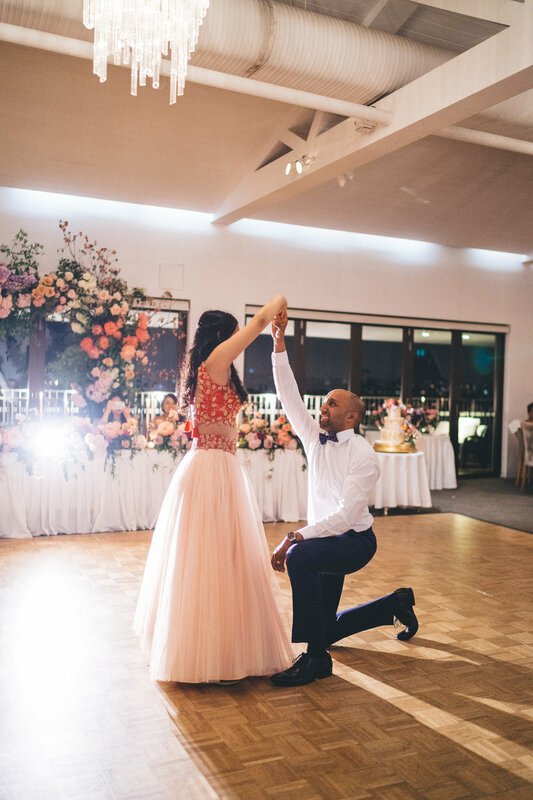 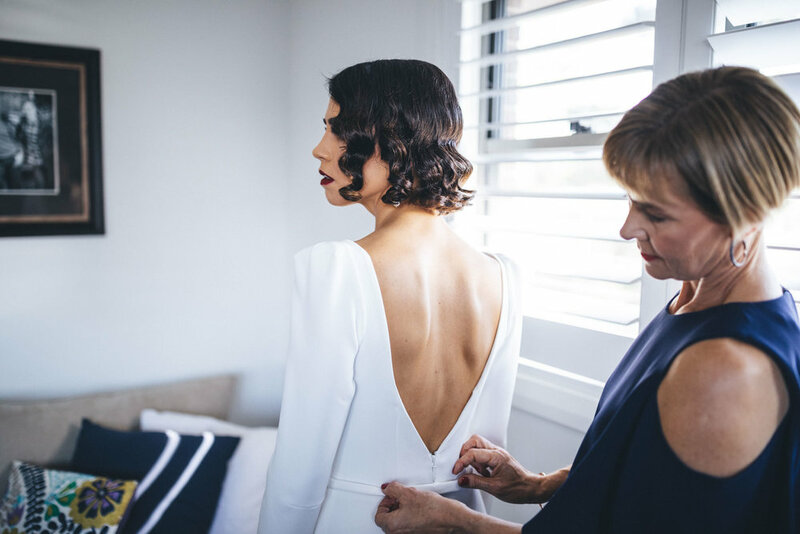 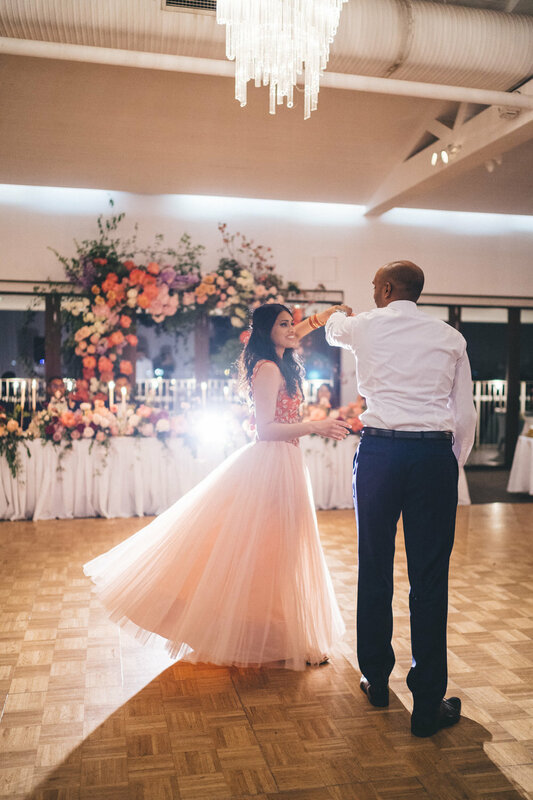 Eliza and Steve: these two beautiful lovers had their hearts set on having the most fuss-free wedding and started off by creating the most beautiful gathering of their dearest family and friends over at Gunners Barracks. 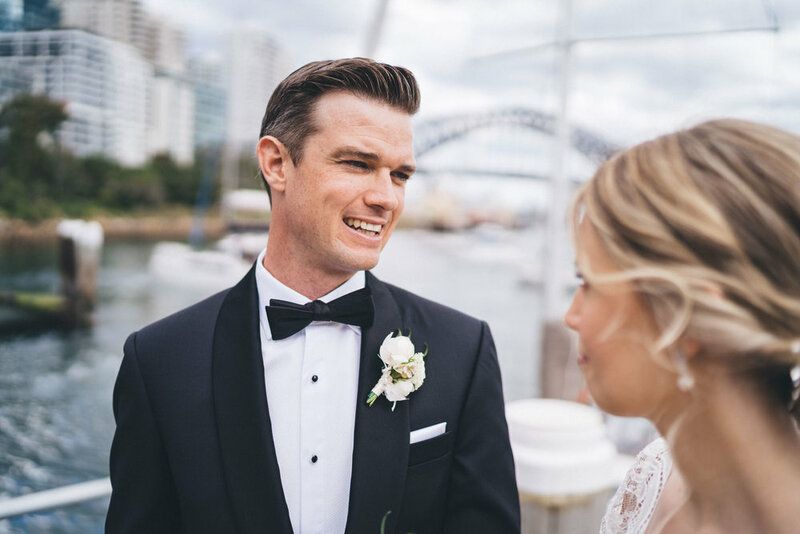 The day started with an intimate First Look between Eliza and Steve which allowed them a private moment before heading over to their ceremony space as their guests filed in. 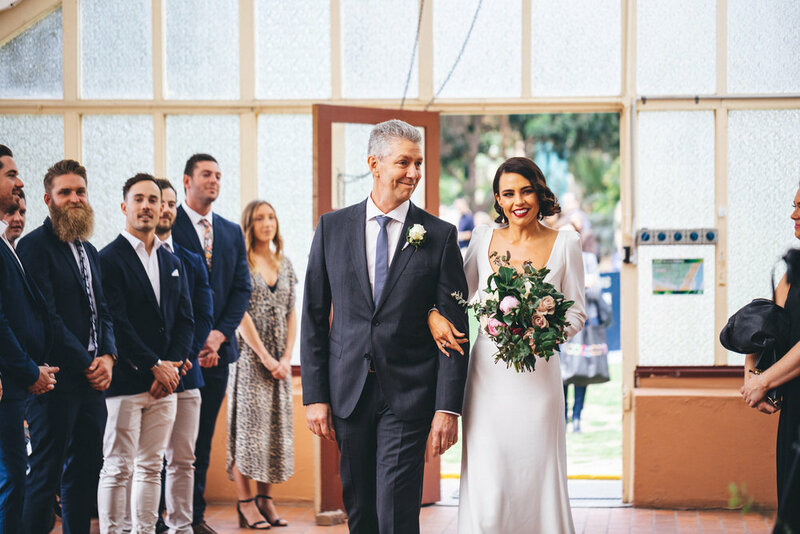 The lovely Fran Logan led the formalities and shortly after every eye was fixed on Eliza and Steve as the latter watched in awe as his beautiful love sailed in (it gets a little emotional at this point, keep scrolling down to the ceremony and you’ll see how I mean). 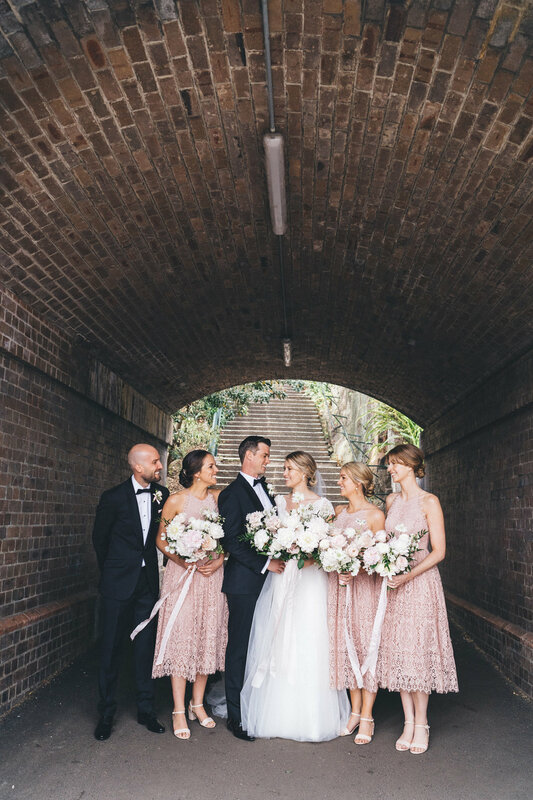 Having carefully planned out what they love most about weddings, their moving ceremony was followed by the most laid back and relaxed reception over at the beautiful dining room at Gunners Barracks: their guests enjoyed the most gorgeous roaming canapés, allowing everyone the space and freedom to meander unhurriedly as they please. 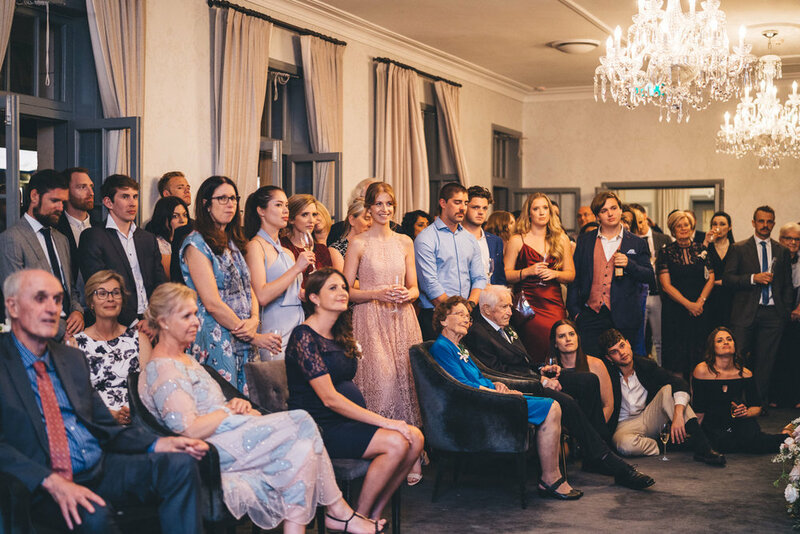 A final toast was announced late into the evening and as their beloved family and friends settled into the cosy room, their merry faces absolutely glowing in shared joy it was so beautiful to see how well loved these down to earth and talented souls were. 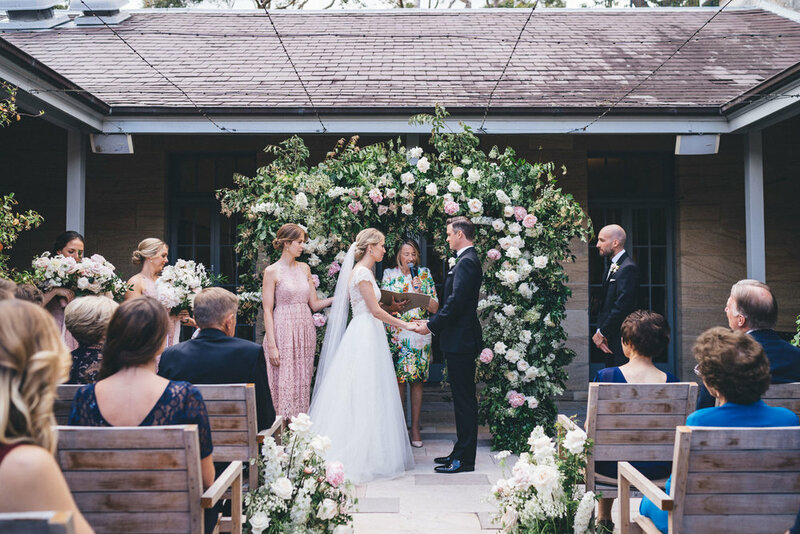 There’s just something about autumnal country weddings that is impossibly charming. 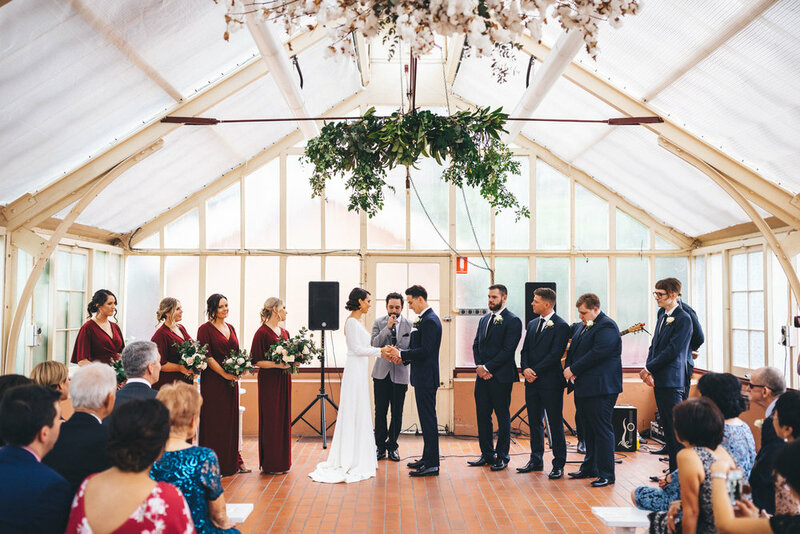 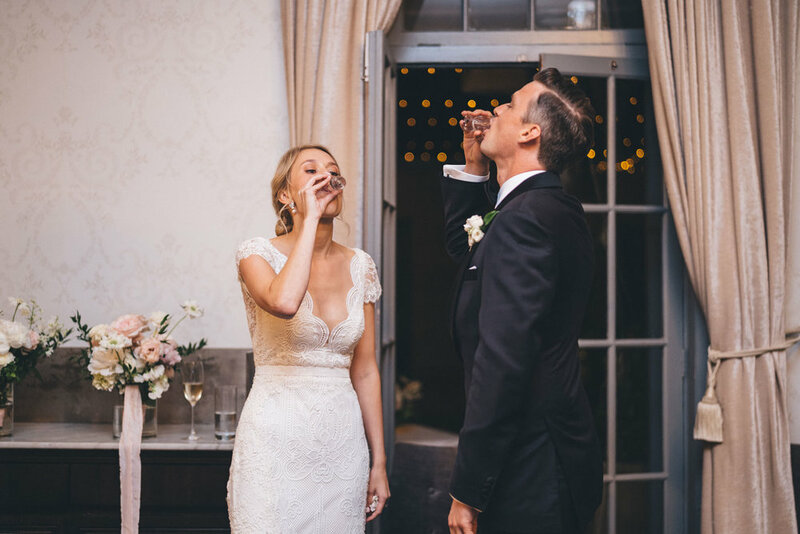 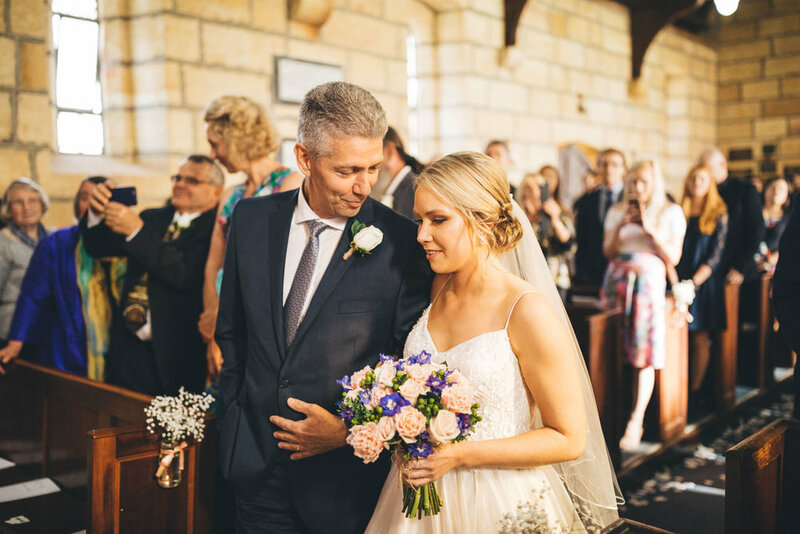 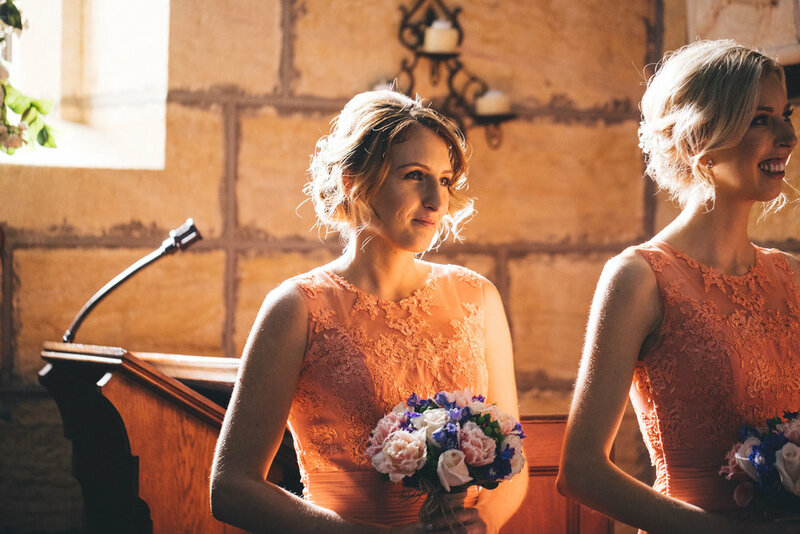 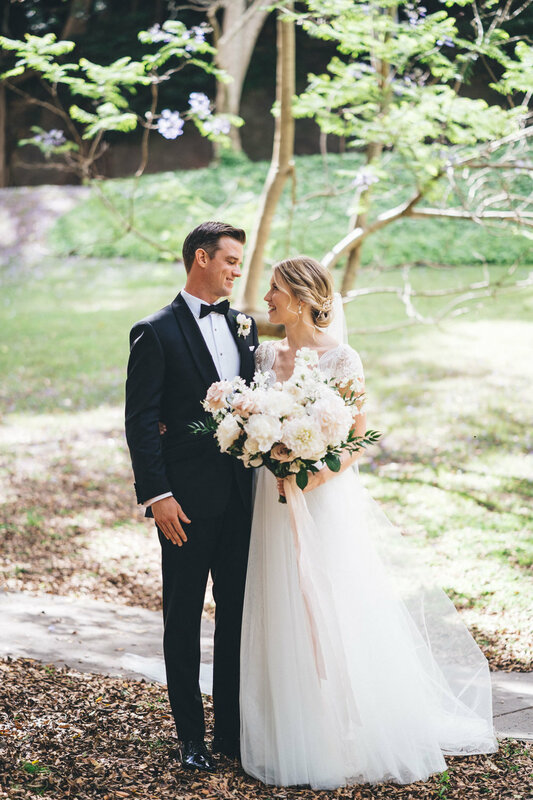 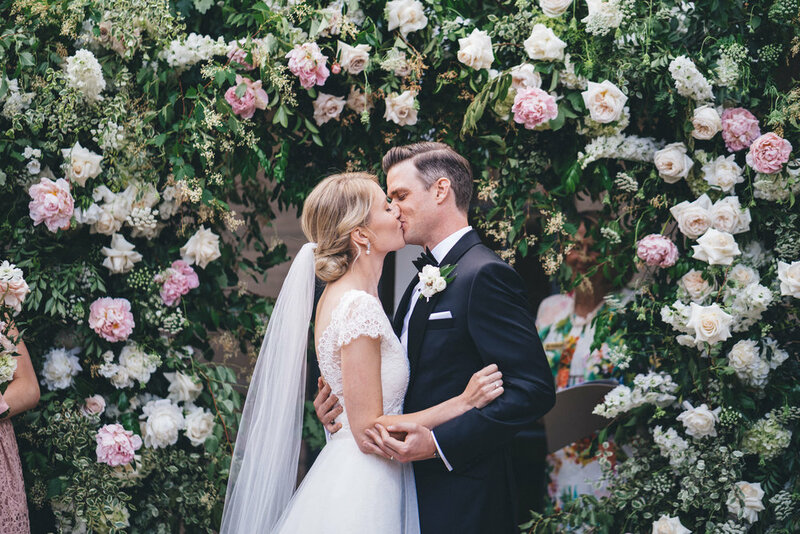 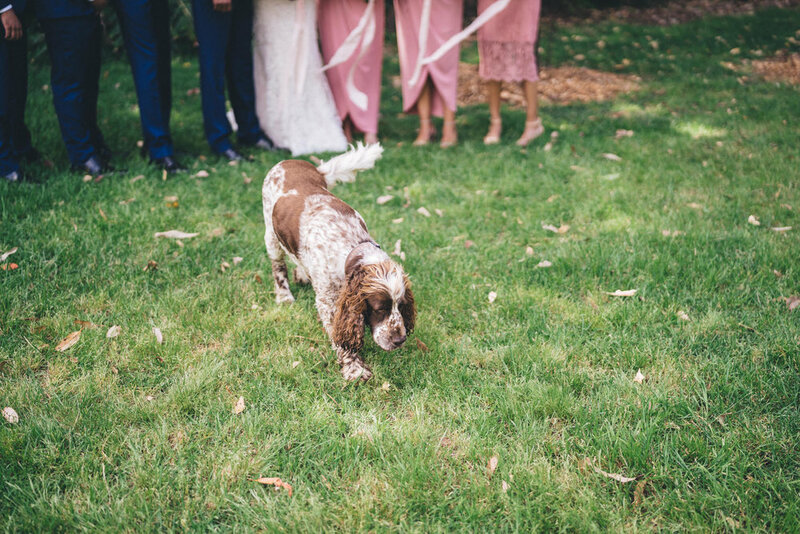 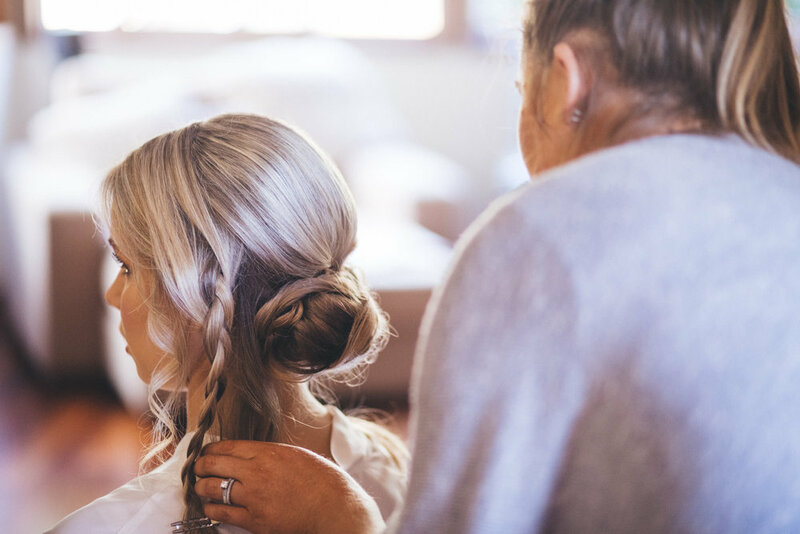 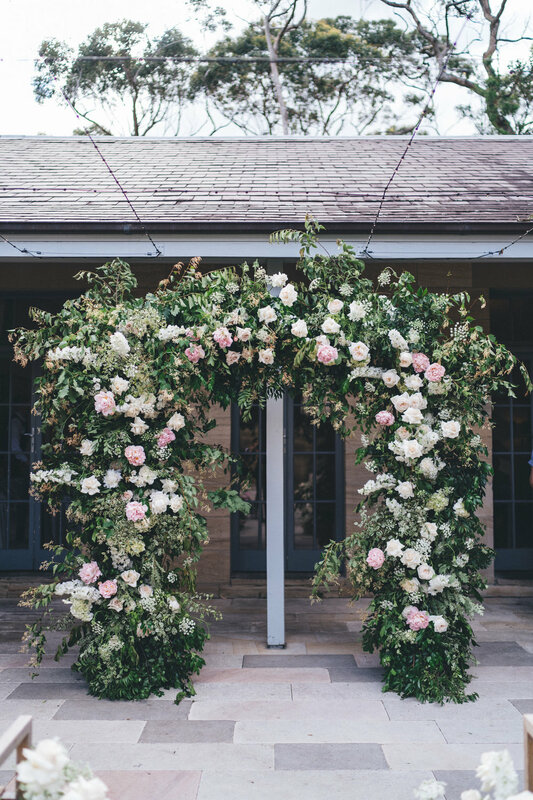 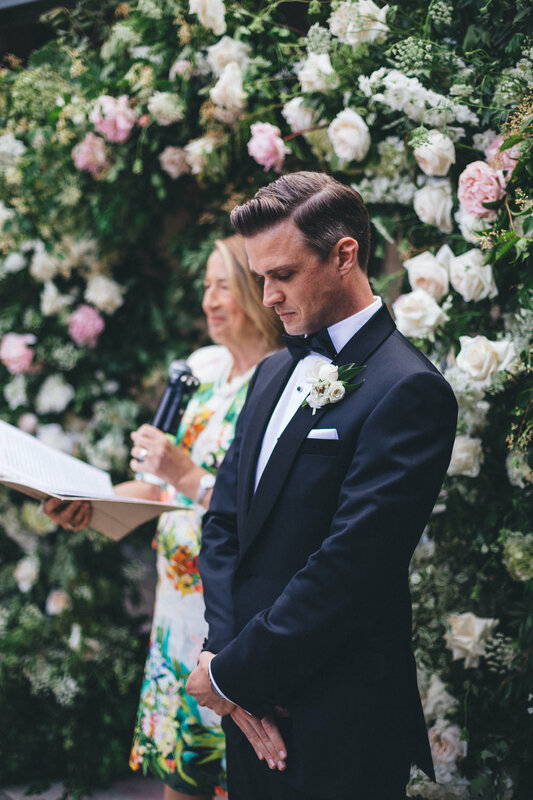 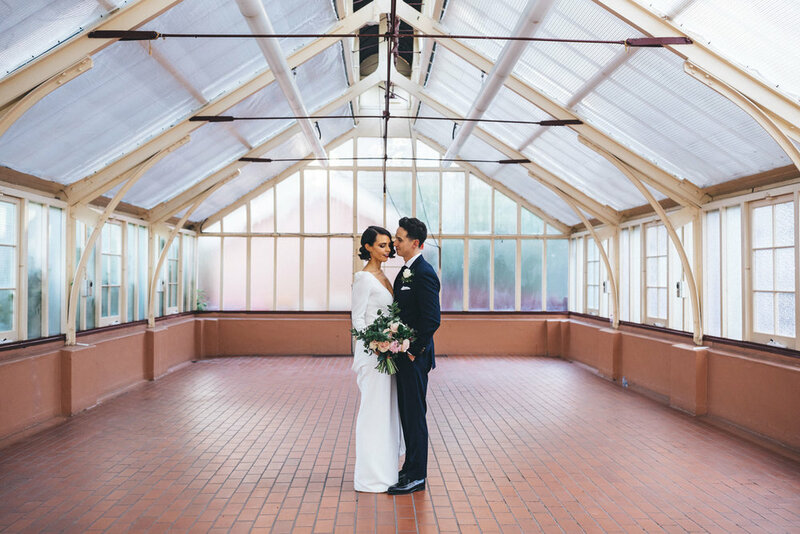 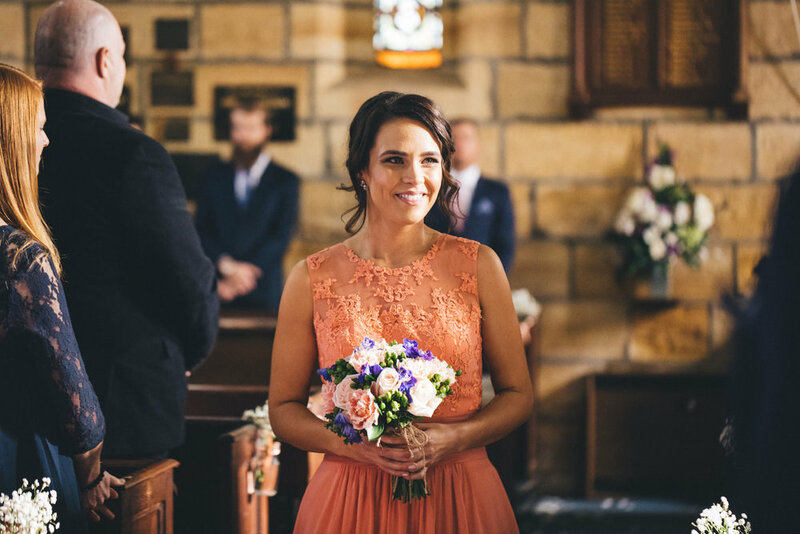 Set in the tiny village of Berambing tucked in the Blue Mountains, Lauren and Olly celebrated with their nearest and dearest at the gorgeous Chapel Hill Retreat. 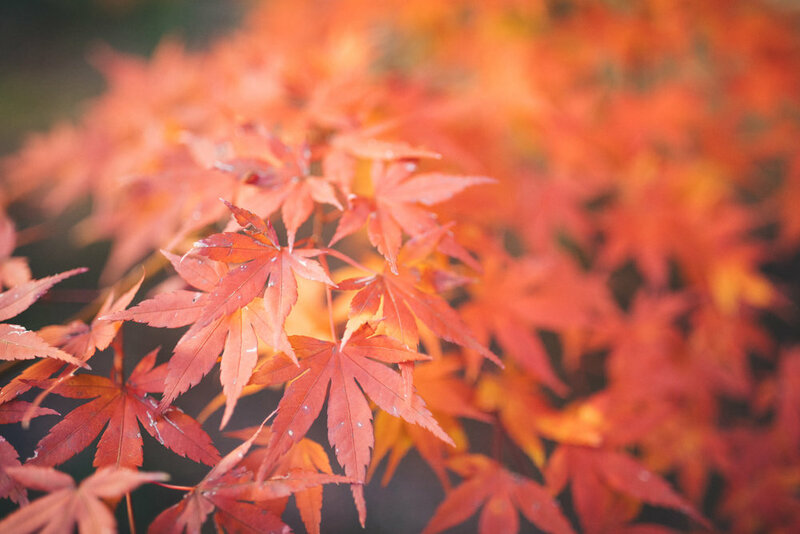 We spent the late afternoon exploring the awe-inspiring rolling hills framing the property before stumbling on a glorious carpet of red and golden autumnal leaves. 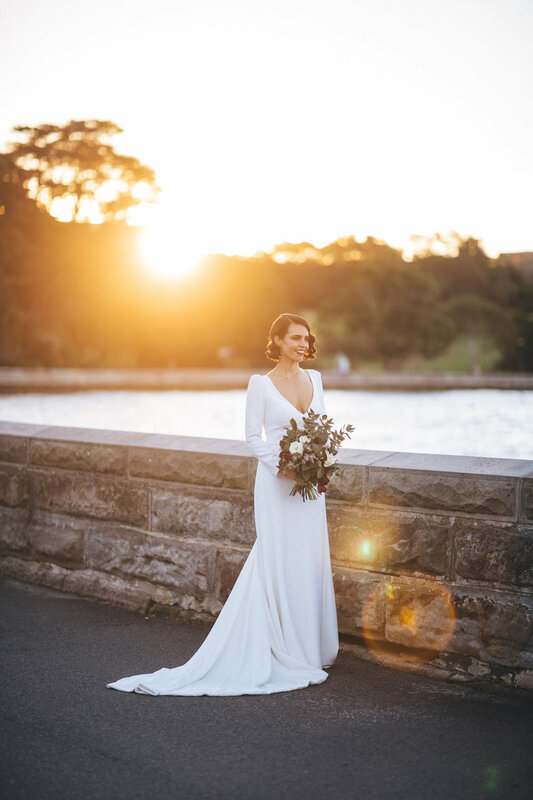 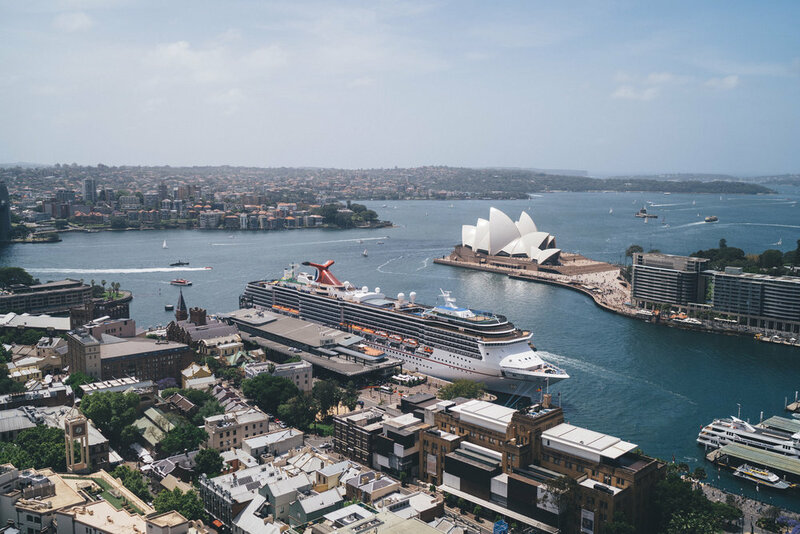 It was late May in Sydney which was a divinely beautiful time to just be still and take it all in before Winter slowly took over: crisp, fresh mountain air, gentle slivers of sunlight dancing across the falling leaves, honestly it was pure Mother Nature magic. 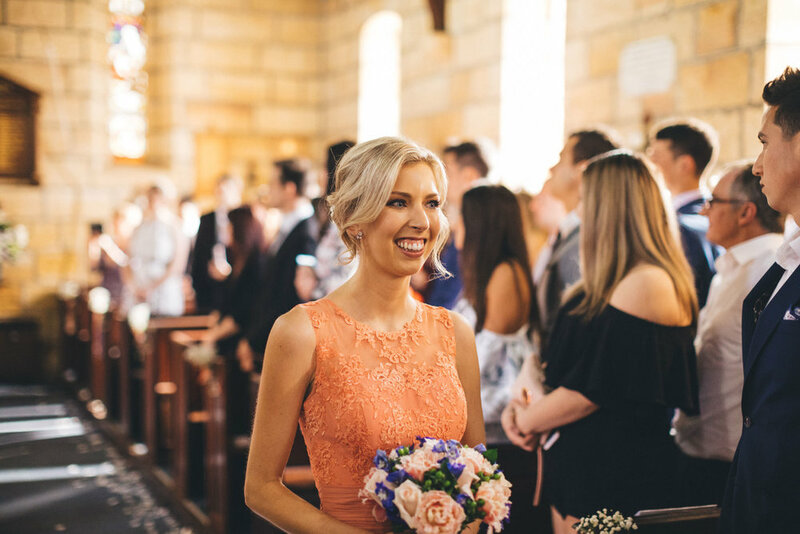 In the past year I had known them, it was hard not to notice what an exceptional young woman Lauren was. 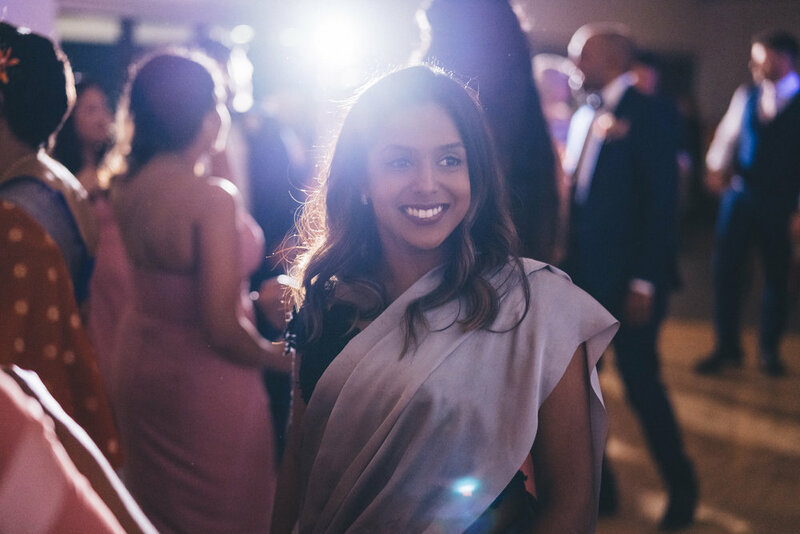 Not only was she extremely wise in her outlook in life particularly for someone in their early 20s: she carried herself with this wonderful quiet confidence. 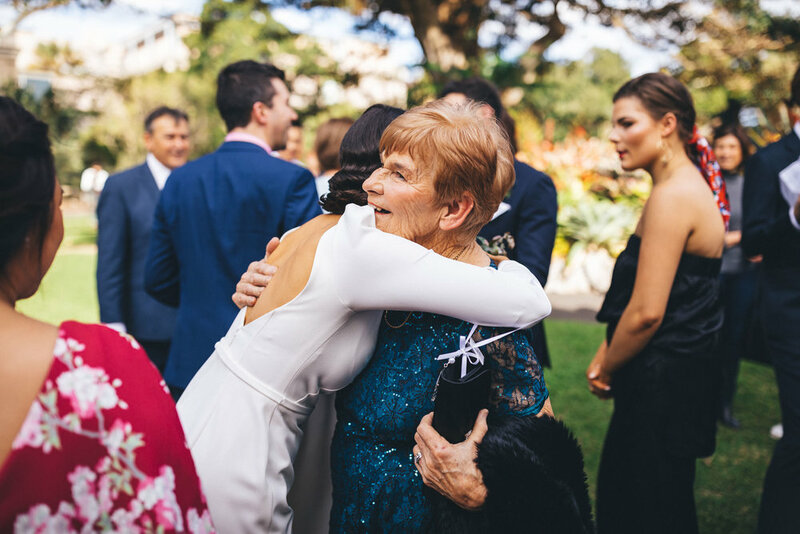 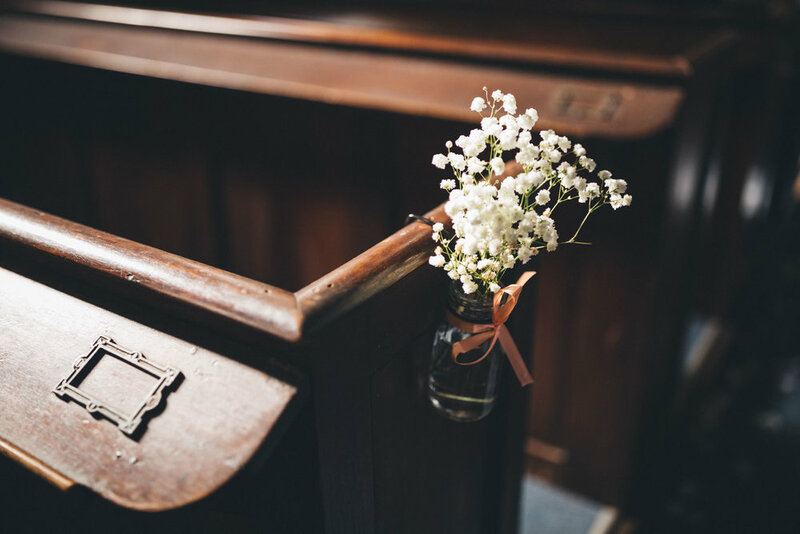 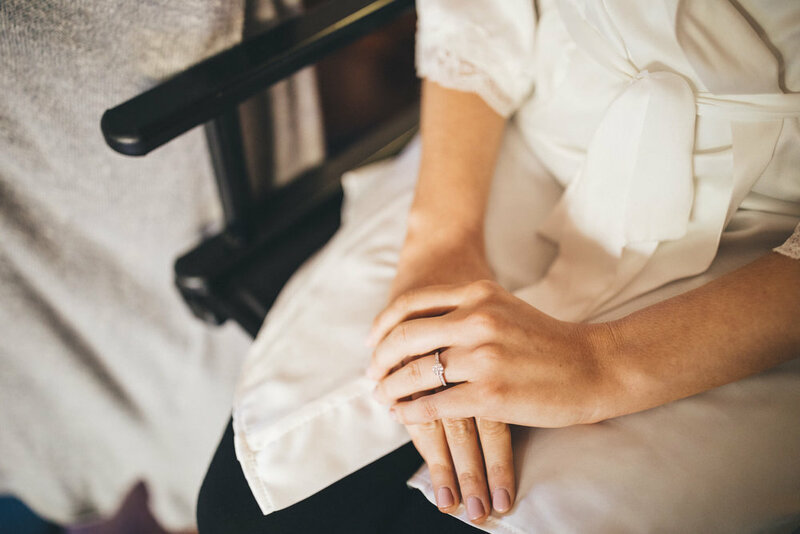 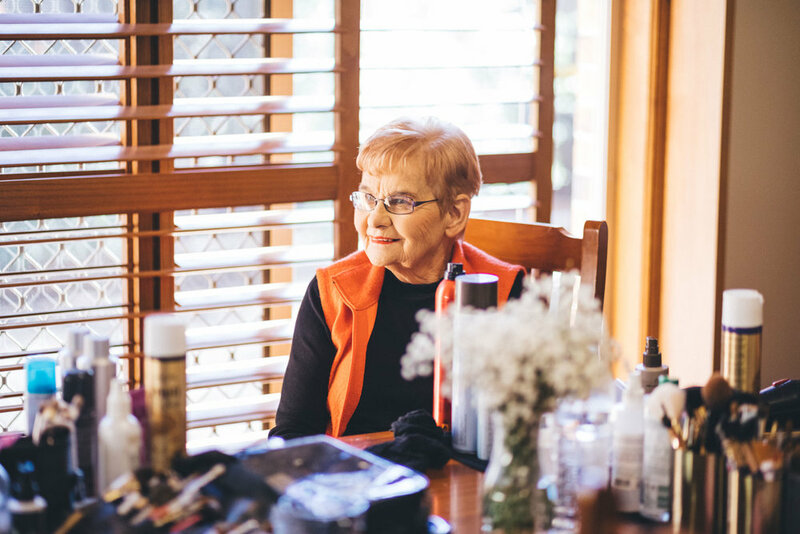 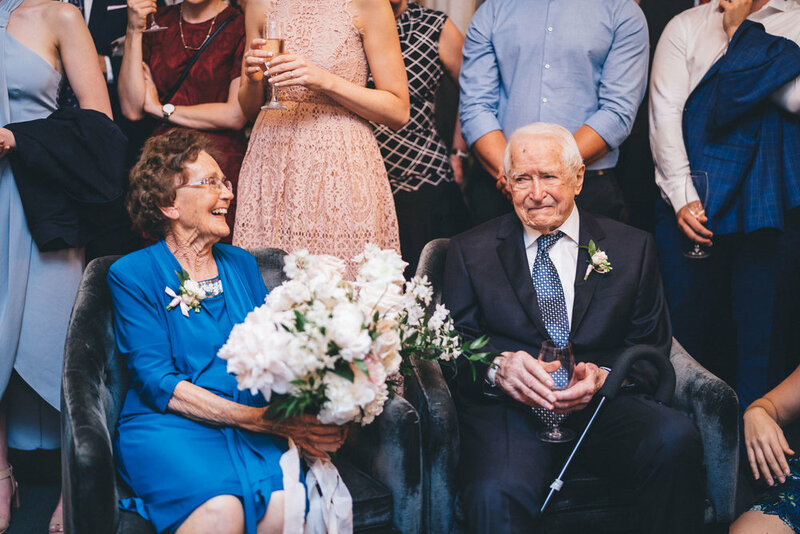 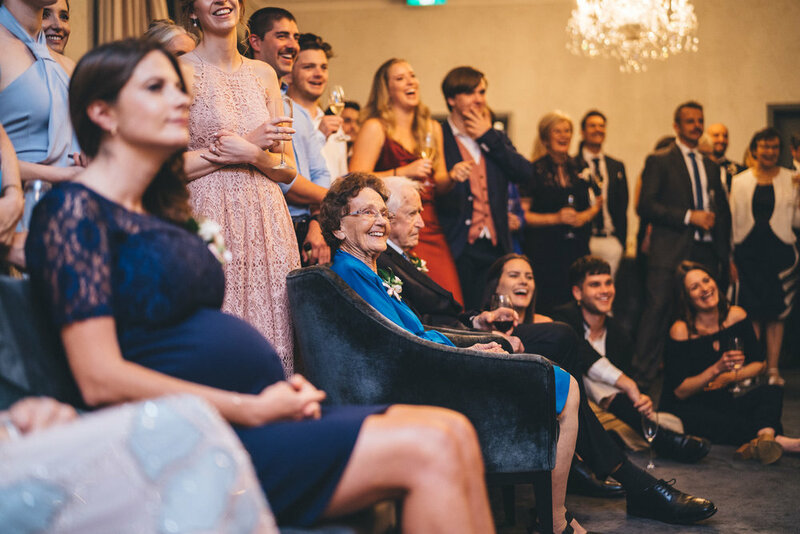 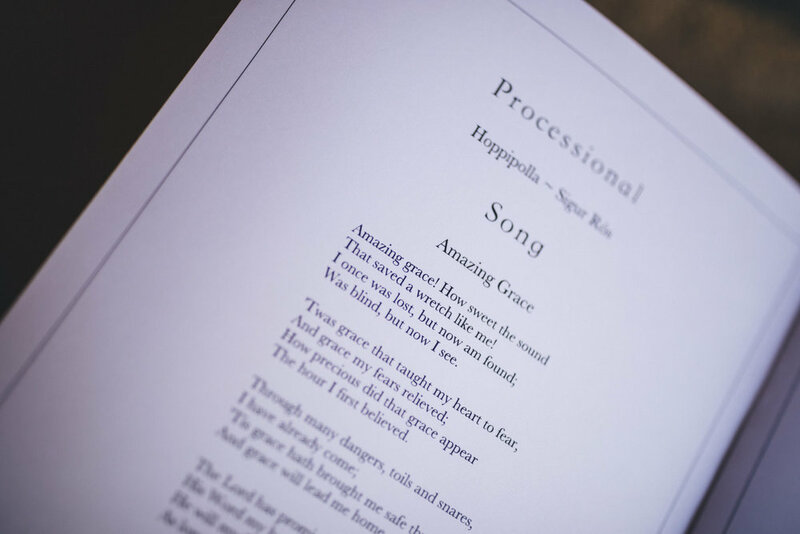 There was an ever-present humility and great love she had for her family and friends and this was so clear on the wedding day as she spent most it ensuring that everybody was warm and well looked after. 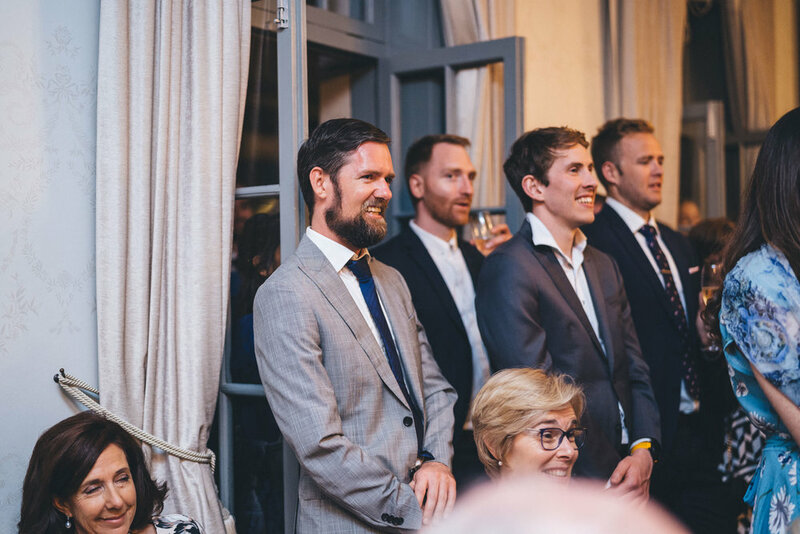 Her calm nature meant everybody simply assumed the usually jovial and cheerful Olly would be the emotional one at the ceremony. 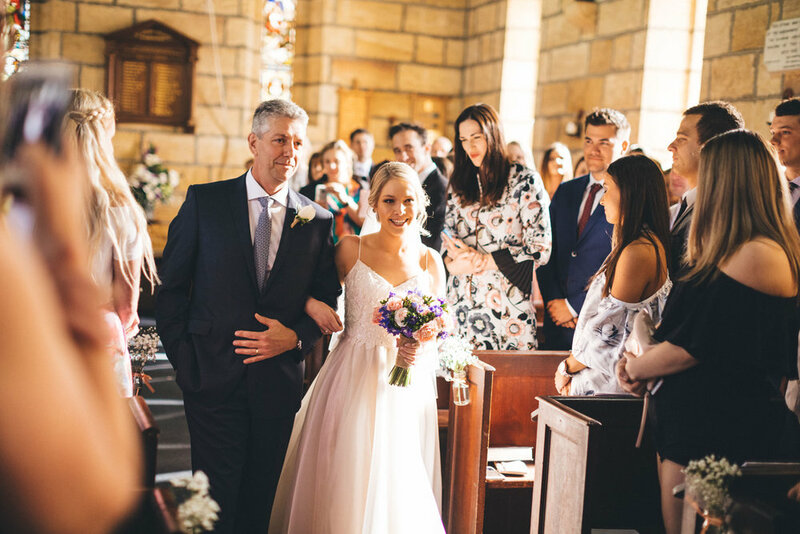 What nobody would anticipate was how everything unfolded as Lauren walked through the doors. 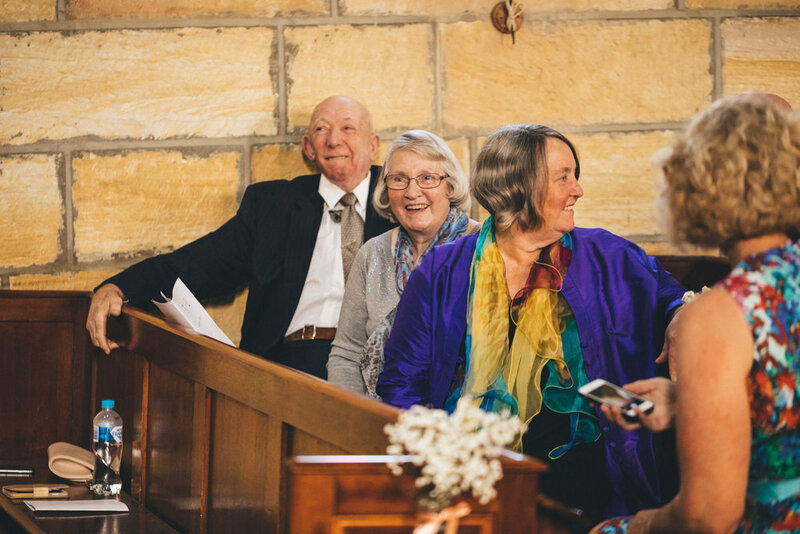 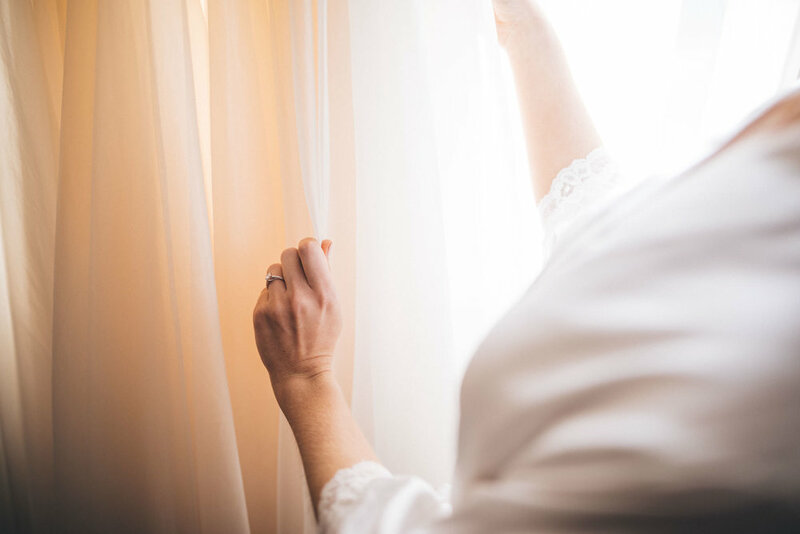 Perhaps it was sheaths of golden light streaming through the 200 year old church windows, the faces of her loved ones smiling back at her or a combination of Olly beaming joyfully and the overall enormity of the day that dawned on her. 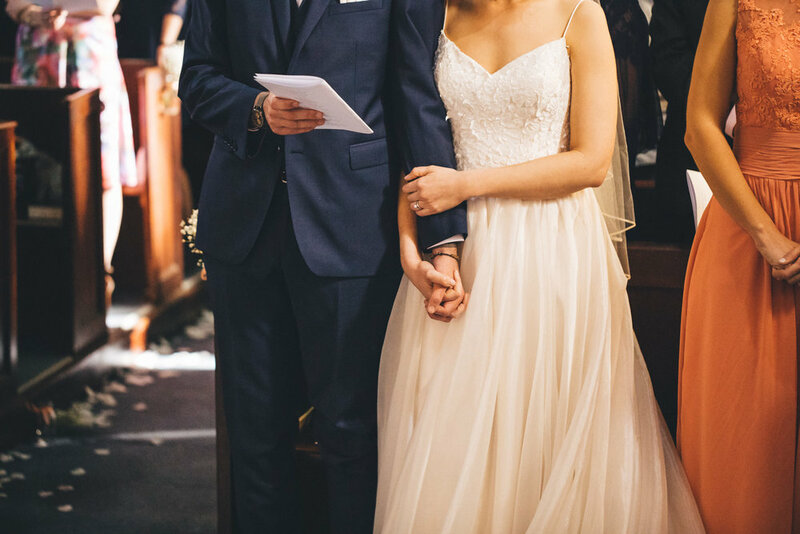 In that moment, Olly was positively glowing with the biggest, happiest grin while the normally composed Lauren was holding back a few tears along with the rest of the room. 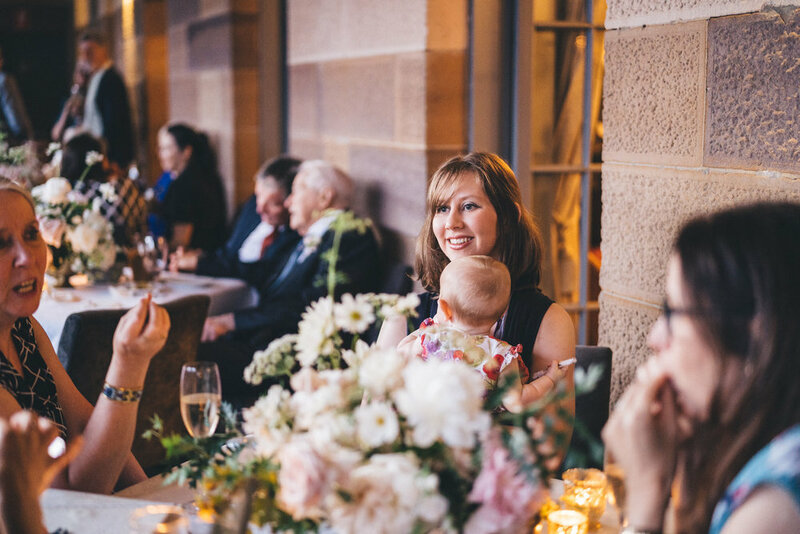 It is moments like these that make us fall completely back in love with what we do. 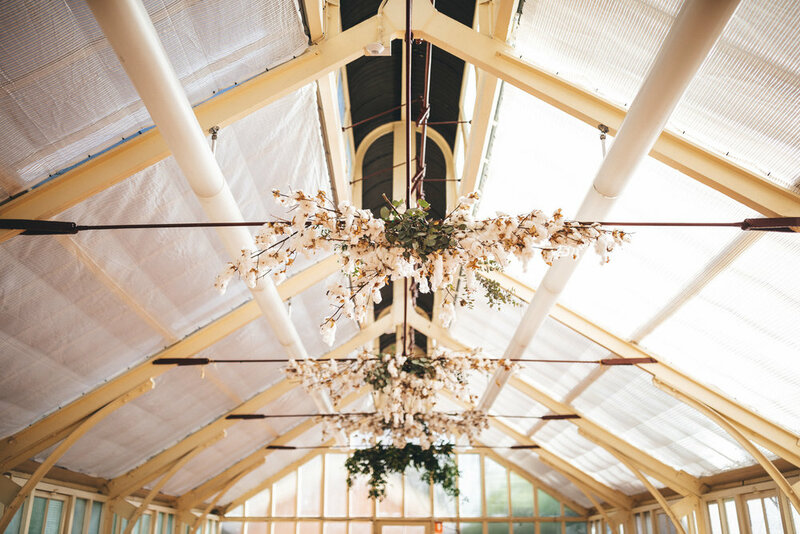 Decorations and aesthetics bring the styling aspect to life but ultimately, they are literally things: it is the undercurrent of genuine emotion and unguarded sentiment that are honestly what you will recall in your old age and tell your grandchildren in the years to come.